Easter is just over a week away. Will the sunshine break though as it has today, or not? 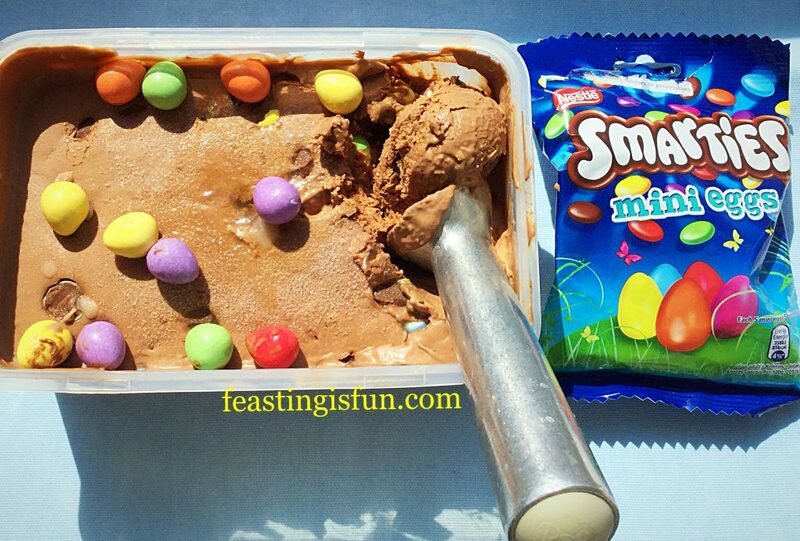 The reason I ask is directly related to this Smarties Chocolate Mini Egg Ice Cream. Will a cold wet day force us to enjoy it inside, or better still, will we sit outside, in the warmth of the sun, munching on ice cream filled cones? I know where I’d rather be! 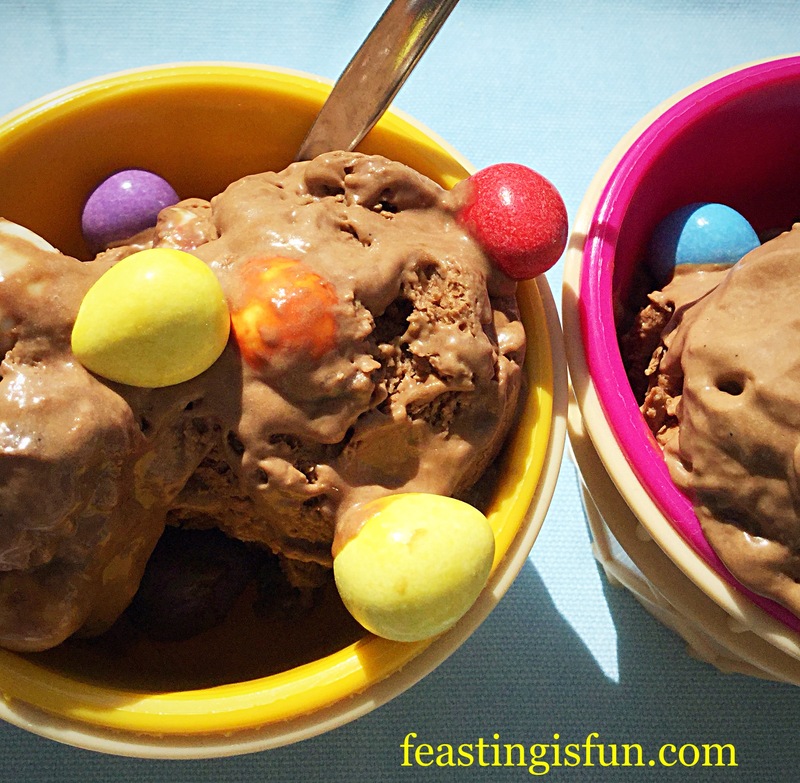 Smarties Chocolate Mini Egg Ice Cream in colourful ice cream bowls. As Smarties mini eggs are not available all year round, yet this ice cream deserves to be made more often than Easter, here’s a solution. Simply use the same weight of regular Smarties. Since they don’t need to be chopped, making the ice cream will be even easier. Although, it isn’t a difficult recipe to make at all. Smarties Chocolate Mini Egg Ice Cream a bigger batch, so more to share. 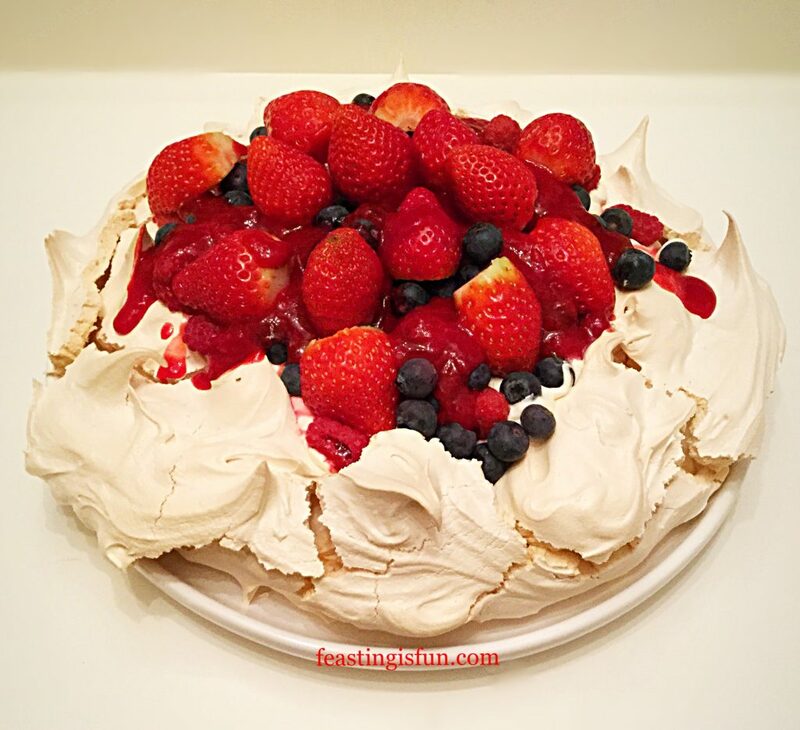 Suitable for both adults and children, a larger batch means that there is more to go around. 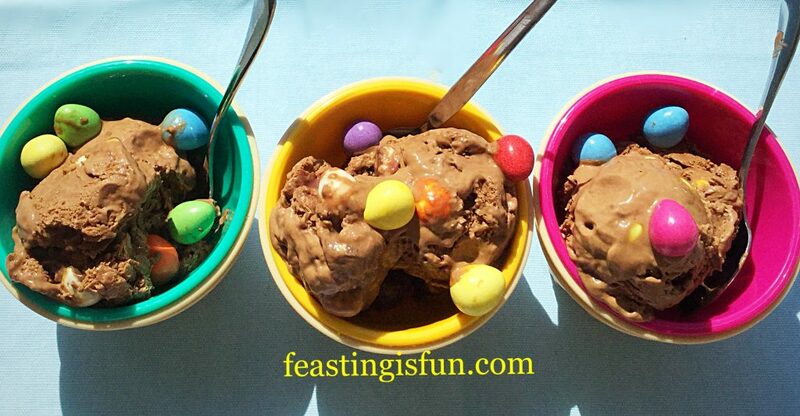 Extra mini eggs on top of each serving show what is in the frozen treat and add to the fun. 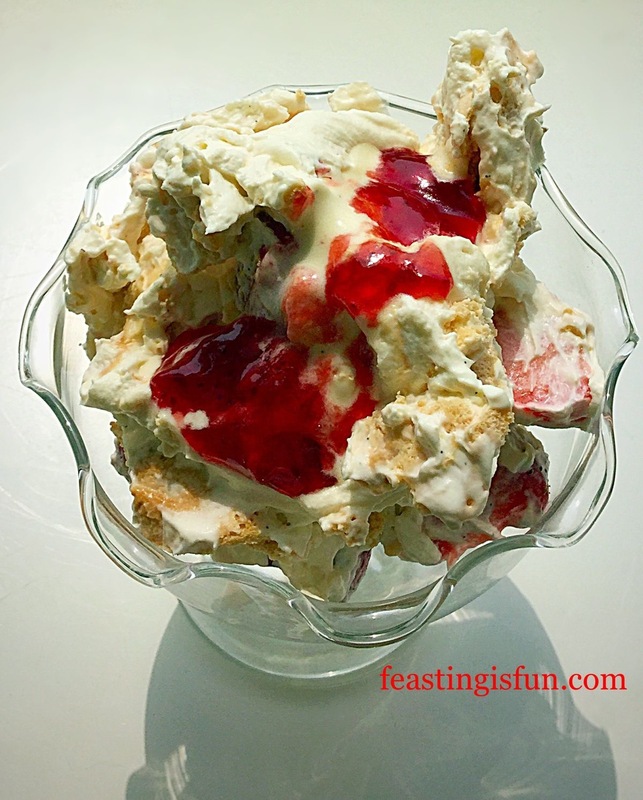 Since Easter is a time for celebrating, what better time to make this ice cream. Finally an ice cream maker makes the whole process simple and easy. I recommend Andrew James ice cream maker. 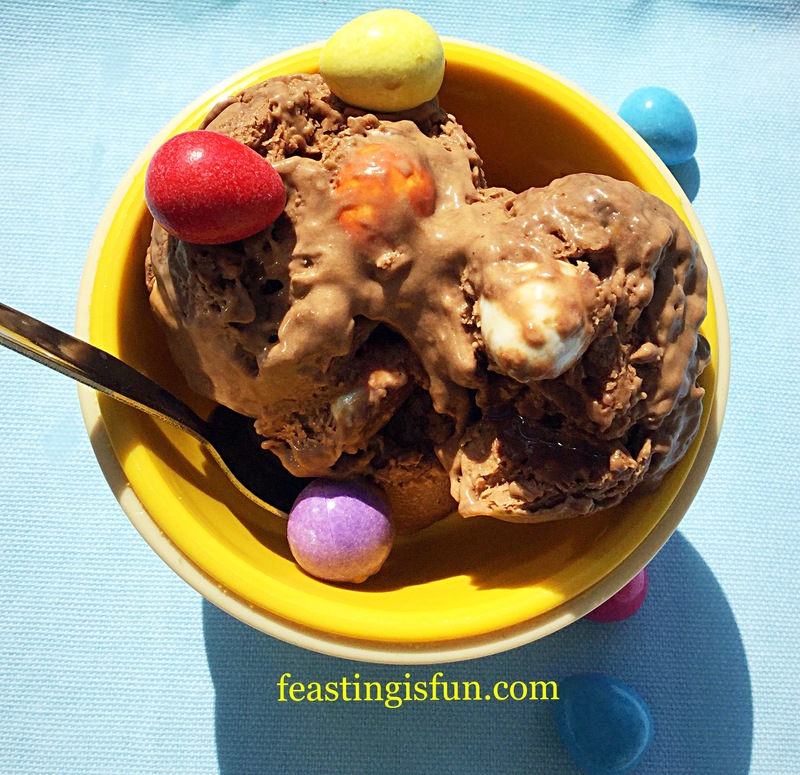 Smarties Chocolate Mini Egg Ice Cream a refreshing dessert. Ensure the frozen part of your ice cream maker has been in the freezer for a minimum of 24 hours, or according to manufacturer’s instructions. First of all, Place the milk and cream into a heavy bottomed saucepan, over a medium heat. Now add the egg yolks, vanilla bean paste, corn flour and sugar into a large, heatproof bowl. 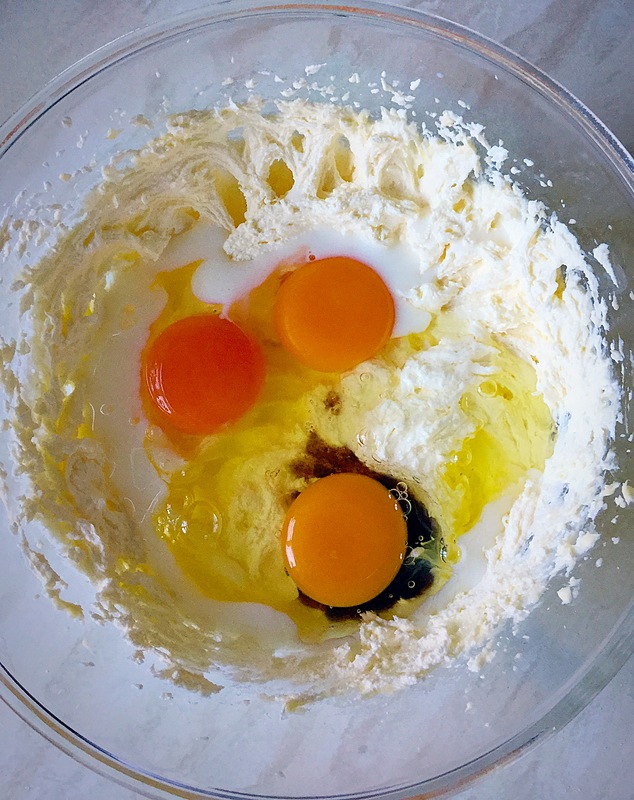 Whisk the egg yolks with the other ingredients, starting slowly and increasing in speed, until thoroughly combined. As small bubbles appear around the rim of the hot liquids in the saucepan remove the pan from the heat. This is called the scalding point. With the whisk on low, pour the hot liquid into the egg mixture slowly. 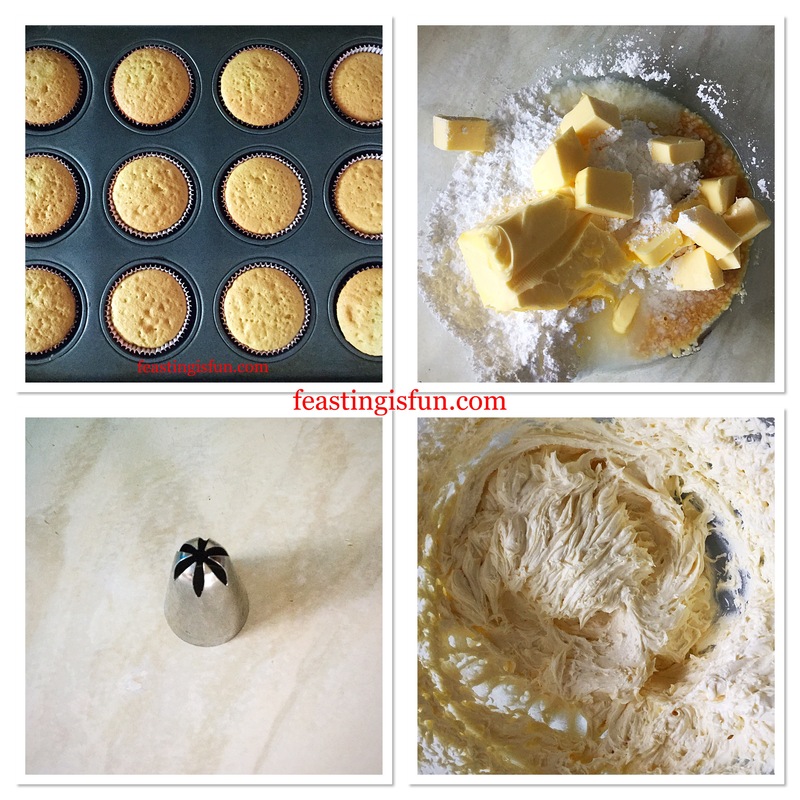 Continue whisking until thoroughly combined. Pour the egg custard mixture back into the saucepan, placed over a low heat. 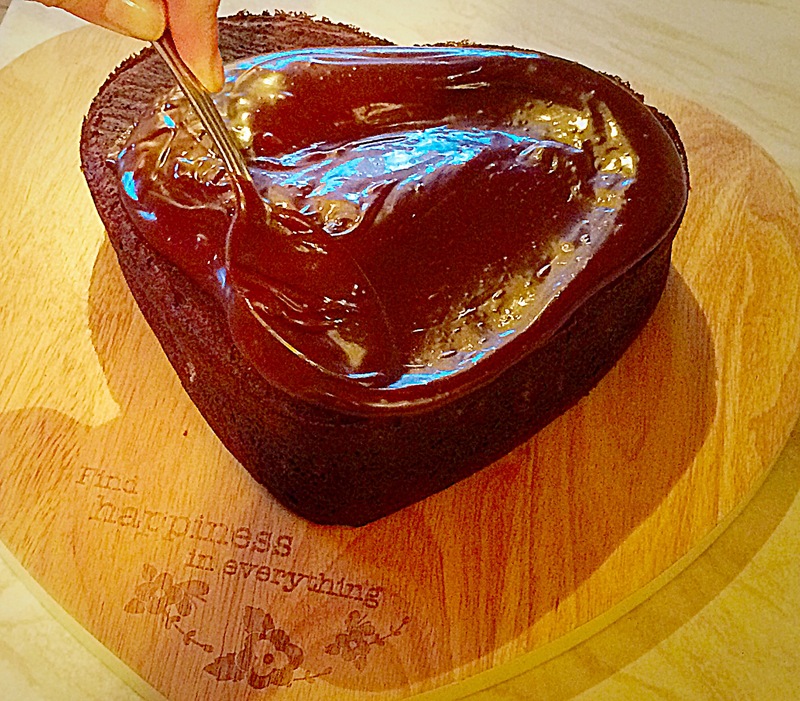 Place the chocolate into the base of the bowl. While stirring the custard also place a sieve over the bowl. When the custard starts to bubble and coats the back of a wooden spoon it is cooked. Remove at once and pour through the sieve, on to the chocolate in the bowl. 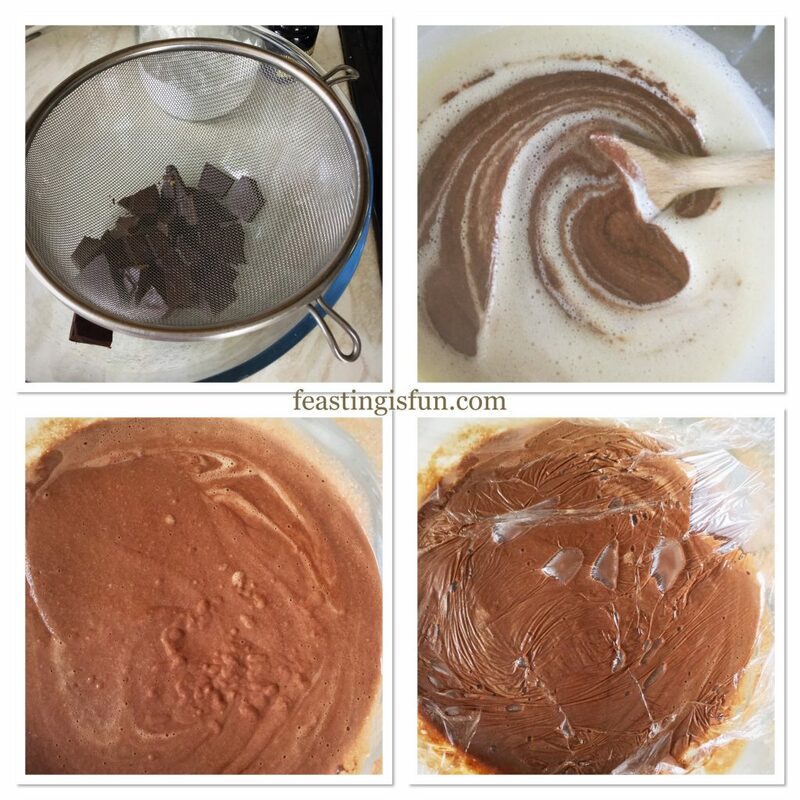 Making the chocolate ice cream base. As the custard base moves through the sieve, any lumps are filtered out. Remove the sieve and stir the hot custard. 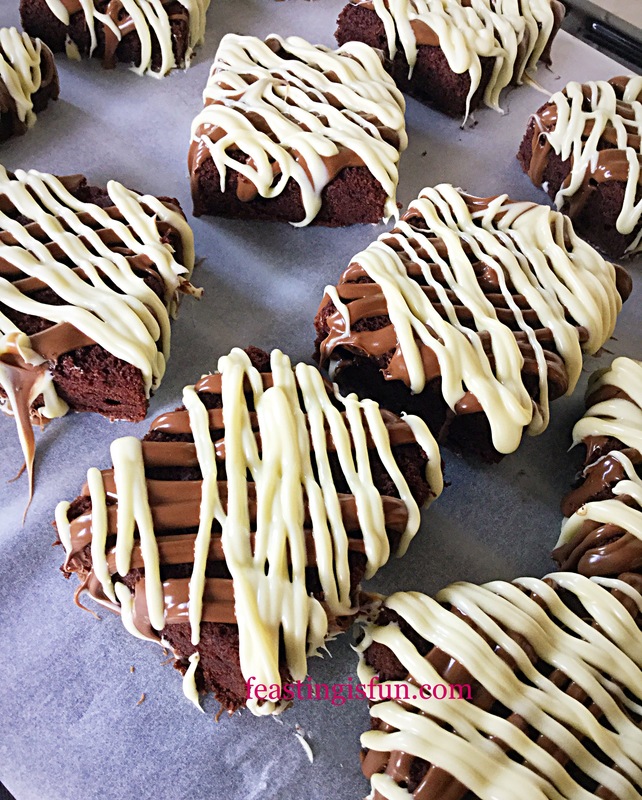 As the custard melts the chocolate it will become visible. 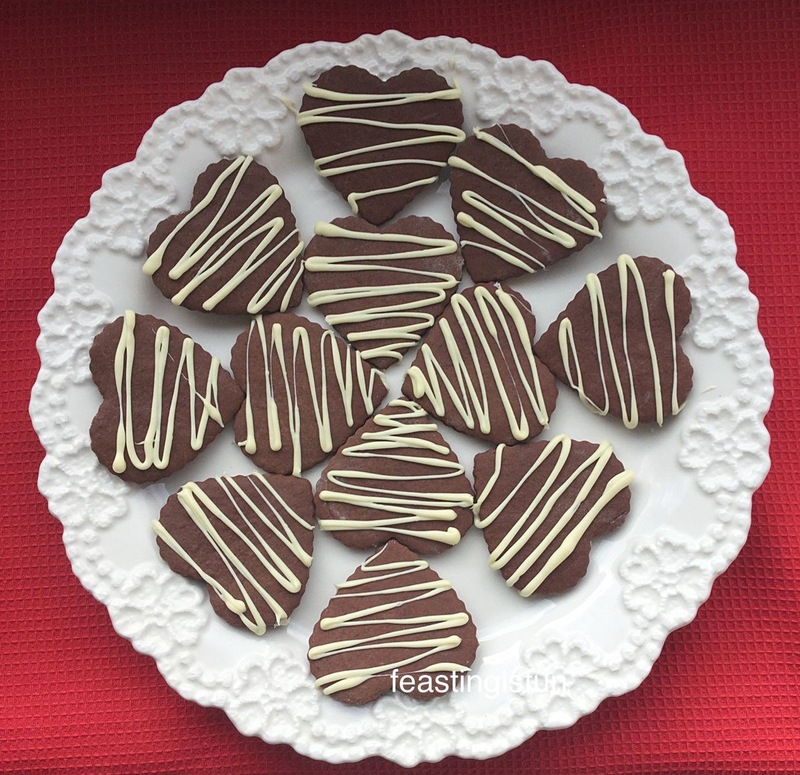 Continue stirring until all of the chocolate has melted. Place cling film directly on top of the hot custard. This will stop any skiing from forming. Move the bowl to a cool place. Once cooled to warm, place the bowl in the fridge. While the chocolate custard is chilling the Smarties can be prepared. 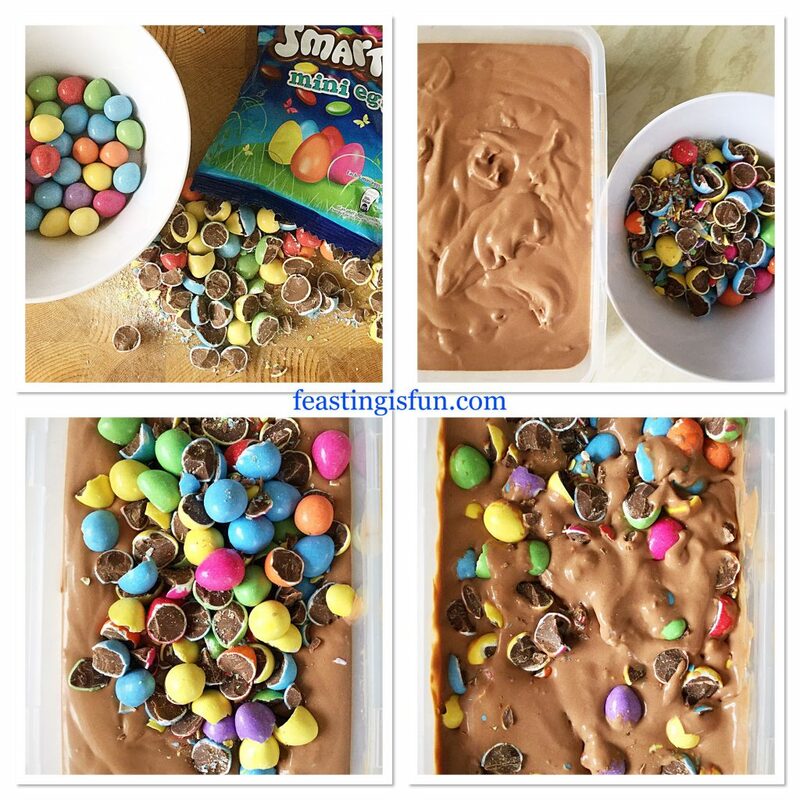 Carefully chop one whole packet of mini eggs in half and tip them into s bowl containing a packet of whole smarties mini eggs. When the chocolate custard is cold, set up the ice cream machine according to manufacturer’s instructions. Pour the chocolate custard through the specific whole in the covering. For my machine, the paddle needs to be turning first. Allow the ice cream to churn until it is softly set. Similar consistency to whipped ice cream. Once this point has been reached, turn the machine off and remove the paddle. Transfer the chocolate ice cream into a freezer proof tub with an air tight lid. Now add all of the mini eggs, both chopped and whole. Gently stir to mix in the mini eggs. Then clamp on the lid and place into the freezer, where it will freeze completely. Preparing the eggs and ice cream ready for the freezer. Leave the ice cream to freeze solid. Overnight is ideal. 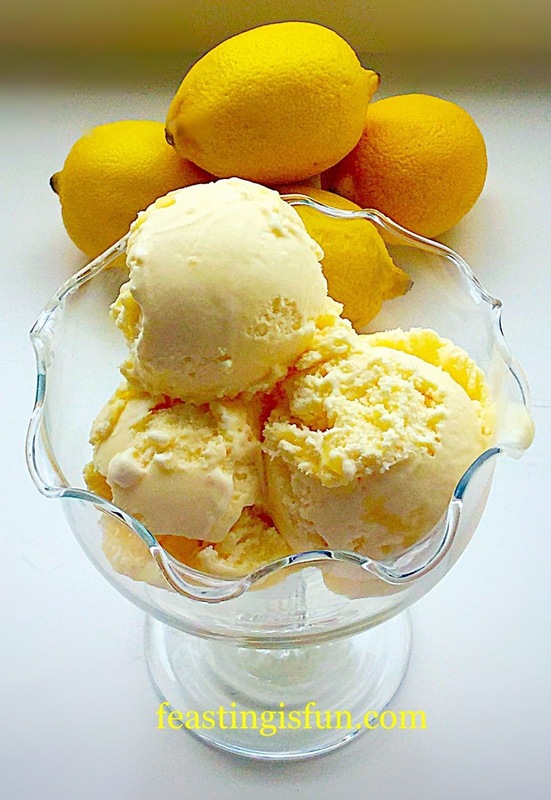 To serve, remove the ice cream from the freezer 20-30 minutes prior to scooping. 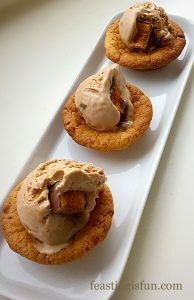 As this ice cream doesn’t have any additives to keep it soft, leaving it on the side prior to serving allows it to soften. 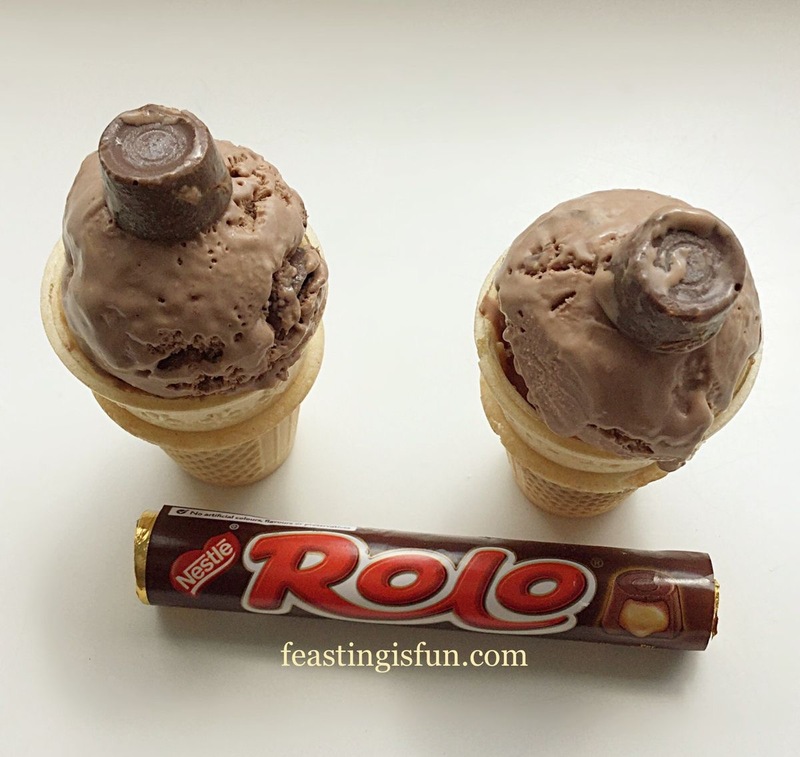 Scoop the ice cream into cones or bowls. 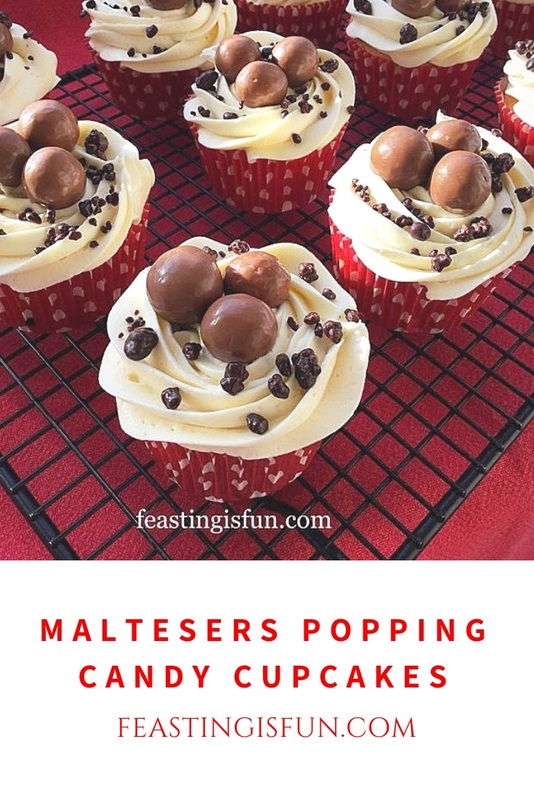 Also, sprinkle over a few extra mini eggs or Smarties. 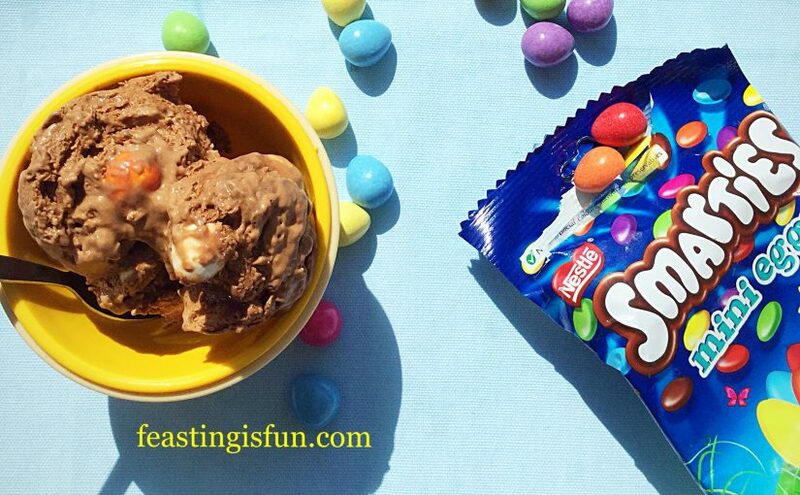 Smarties Chocolate Mini Egg Ice Cream crunchy, creamy, chocolate Fun. These bowls of ice cream are bound to produce lots of smiles. Store in the freezer for one month. Homemade ice cream is unique. Since you can change the flavours to whichever you prefer. Also, the convenience of having an ice cream maker allows you to make ice cream whenever you want. Please note: The chocolate ice cream by itself is gluten free, providing gluten free corn flour is used. However, the min smarties eggs do contain gluten. 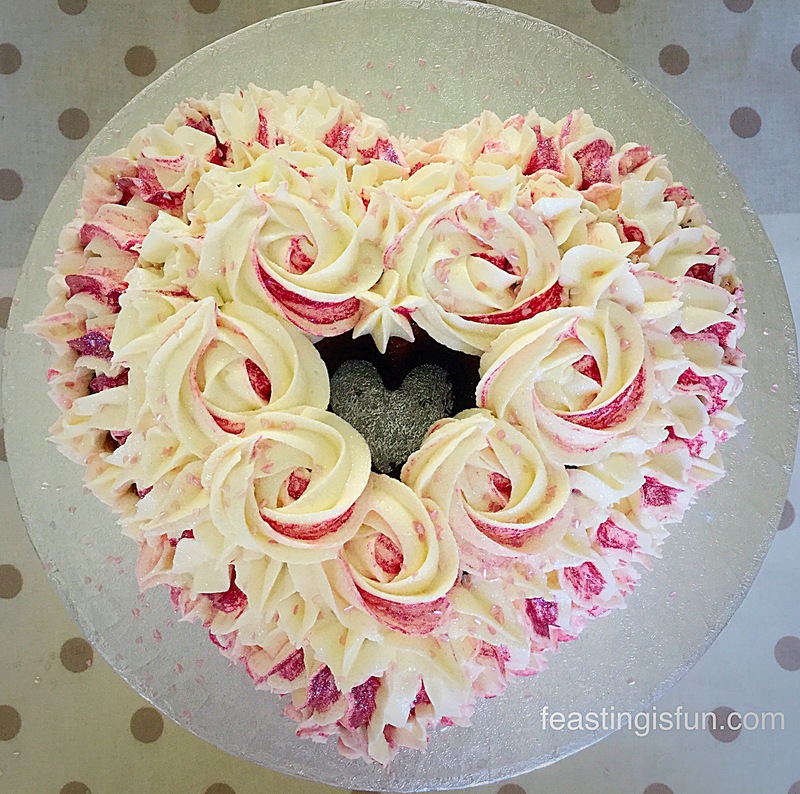 Today’s post is a celebratory one. 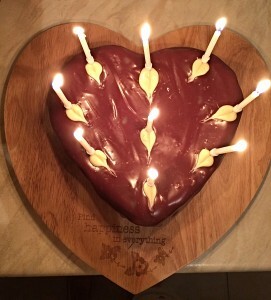 Since our son turned 14 yesterday. While enjoying everything about celebrating his birthday, from blowing up balloons, hanging fairy lights, presents, cards, seeing family. Aside from seeing his Auntie, he really looks forward to his birthday cake. Since he’s not a huge fan of icing, although he loves Christmas cake, after much discussion he decided on this Dundee Fruit Celebration Cake. 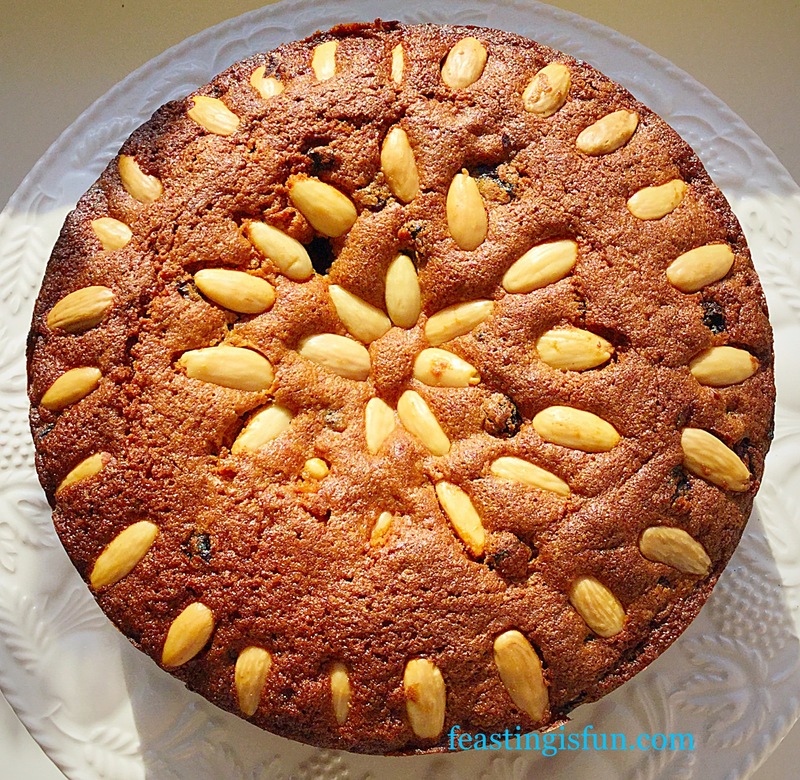 Dundee Fruit Celebration Cake topped with crunchy whole almonds. Since he would happily eat Christmas cake every single day, this seemed to be a good compromise. 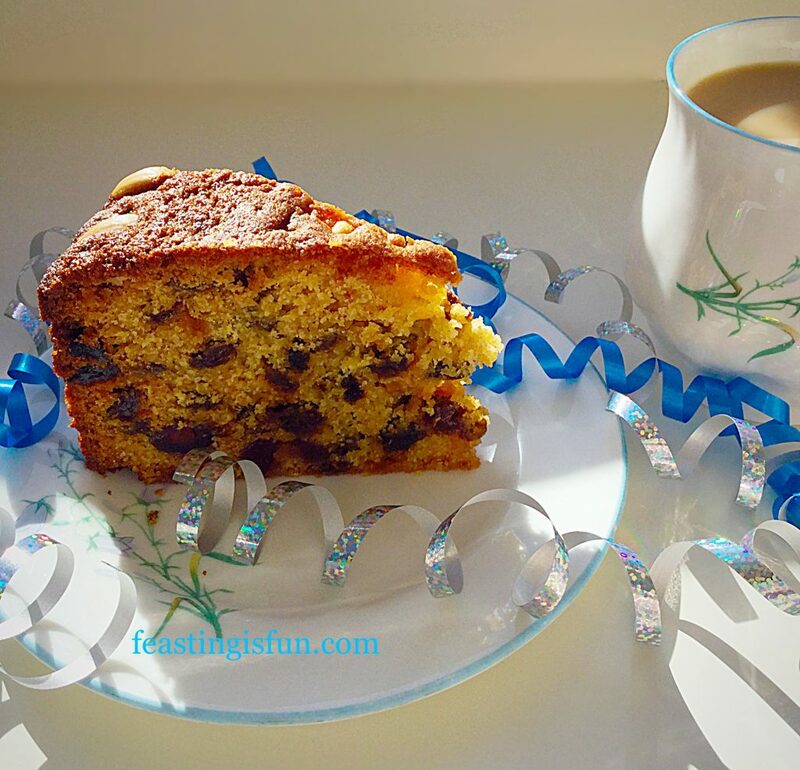 Rather than soaking the dried fruit in an alcoholic concoction, as is needed for Christmas cake, this Dundee Fruit Celebration Cake is easily made in one day. 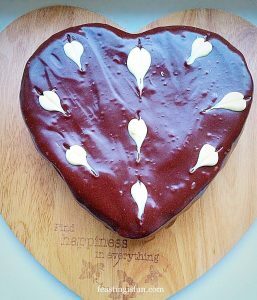 Although as much as I enjoy making Christmas cake, usually with our son’s help, having it throughout the year, would make it less of a special event. 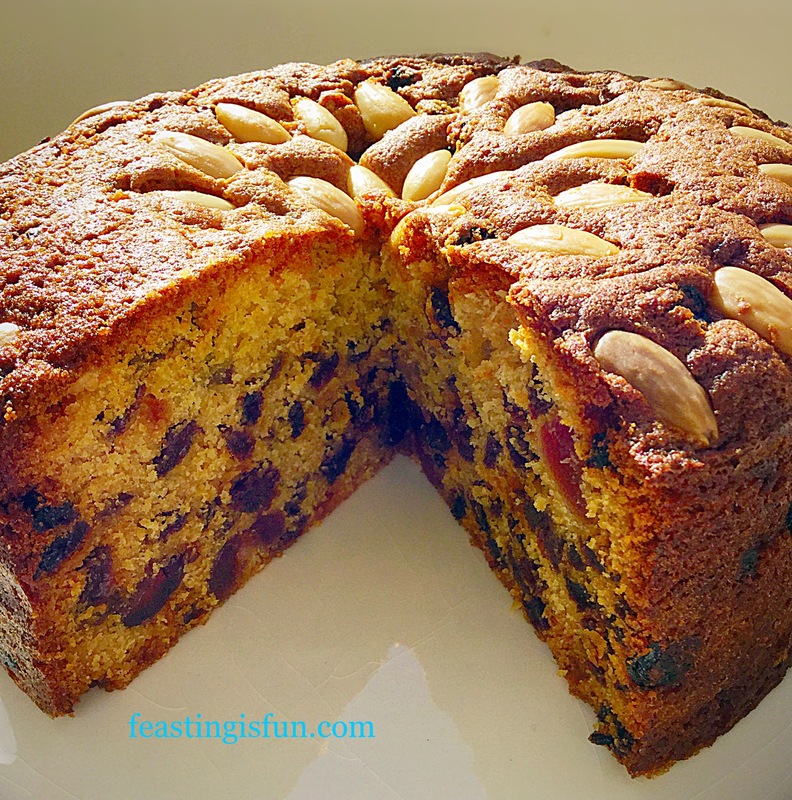 Dundee Fruit Celebration Cake packed full of flavour and dried fruits. 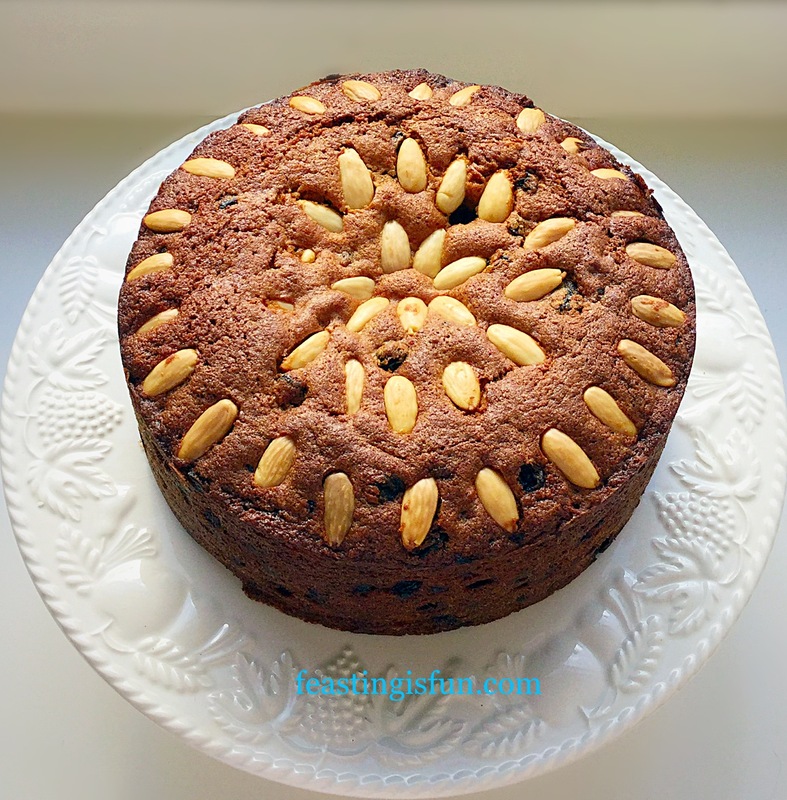 Dundee Fruit Celebration Cake is a lighter fruit cake, filled with raisins, sultanas and in this recipe, glacé cherries. Because recipes differ I am unsure as to how authentic their addition is. However, in our home their presence in any fruit cake is a must. Alternatively, simply leave them out if you aren’t a fan and add more dried fruit. 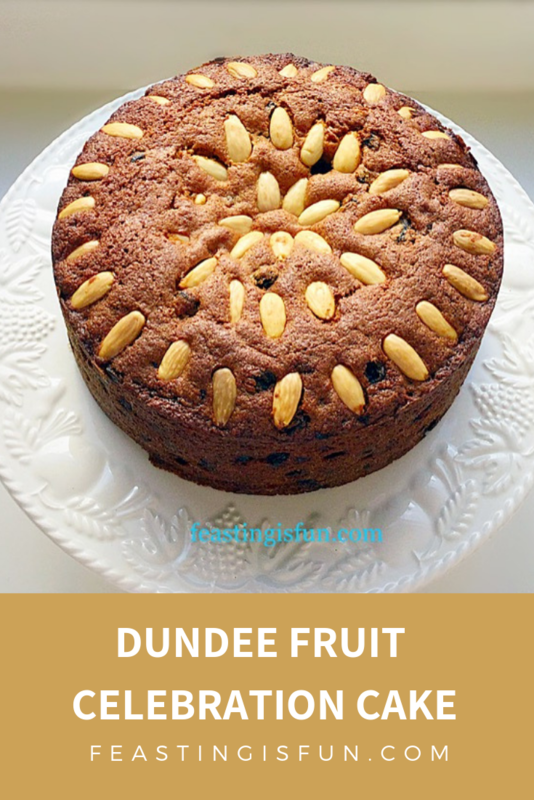 Dundee Fruit Celebration Cake perfect for any celebration. 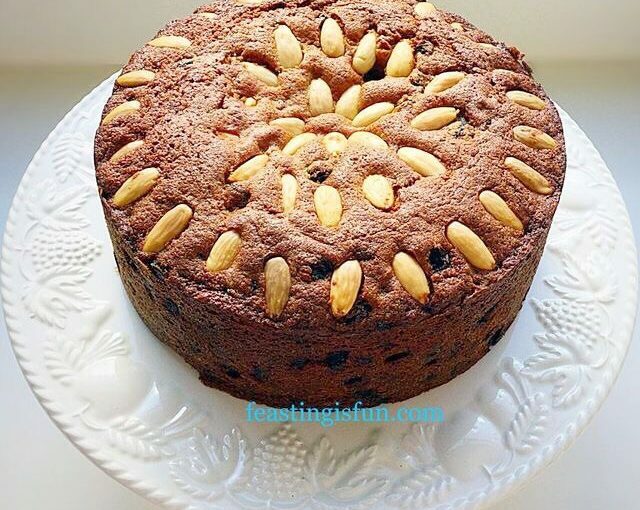 Since baking a fruit cake without spices allows the other flavours in the cake to come through. So, taking my first bite the freshness of the lemon hit with the warmth from the sherry, creating a deliciously moist cake. While the cherries and fruit add to the overall flavour, the almonds, in contrast, provide a delightful crunchy topping. 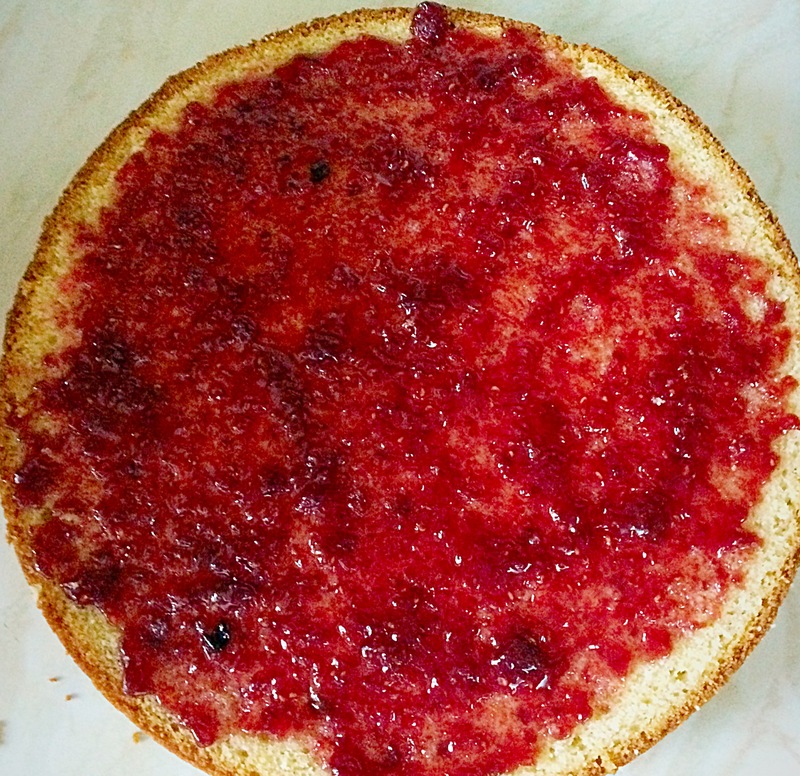 Resulting in a perfectly balanced cake, both in flavour and texture. A single firework candle lit in the centre of this cake, creating a spectacular display that had our son enthralled. And when we cut the cake, his pleasure was clear to see. While devouring his first slice he had a big smile on his face. Thoroughly pleased with this Dundee Fruit Celebration Cake for his birthday, this was most definitely a hit. Most importantly, our son thoroughly enjoyed his birthday, it was indeed a true celebration. Method: Preheat the oven to 160C/140C fan, gas mark 3, 325F. 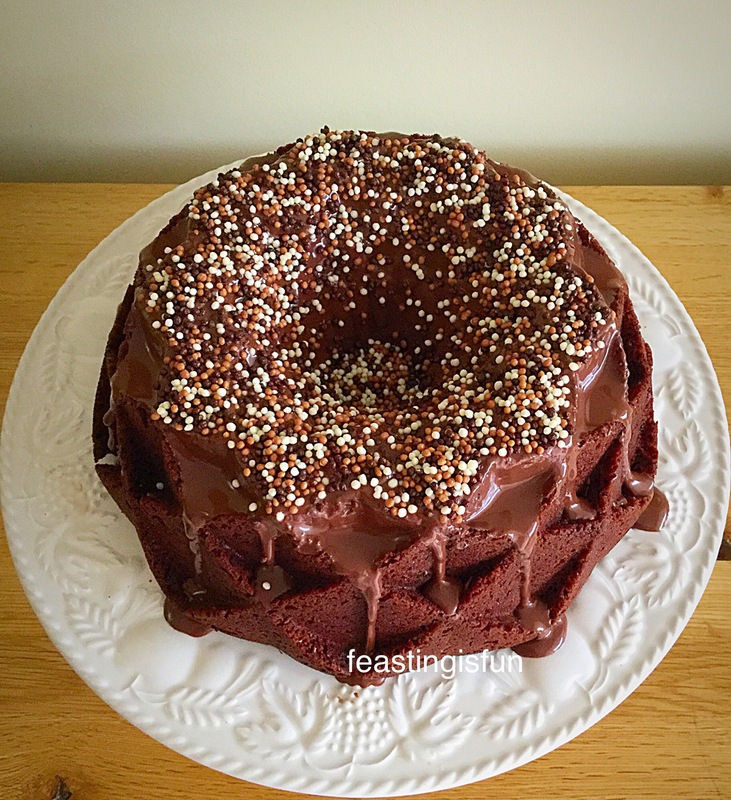 A 20cm/8″ diameter 10cm/4″ deep round cake tin is needed for this bake. Grease the tin with butter and line the bottom and sides with baking parchment. 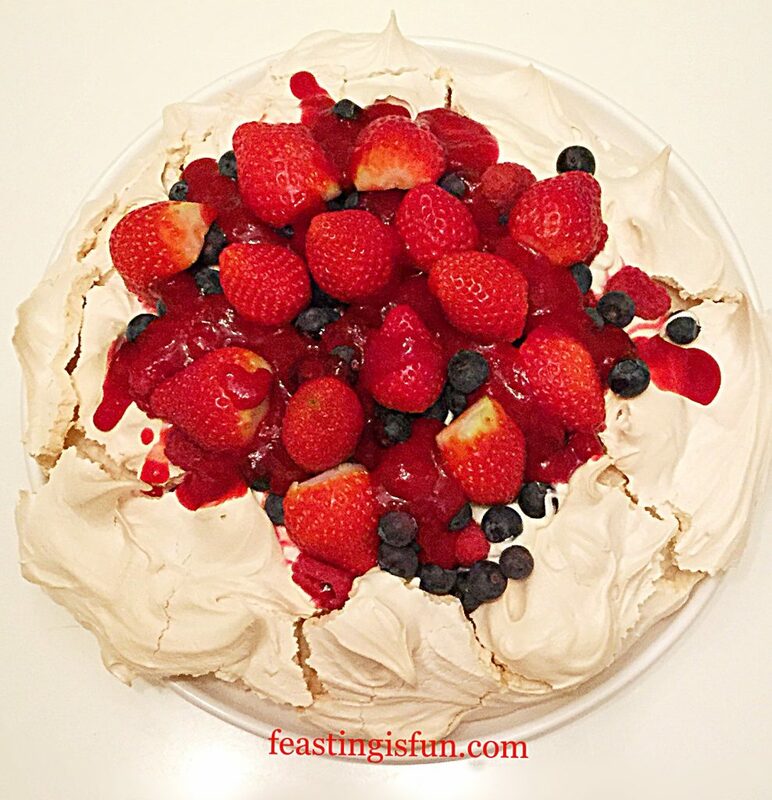 The sides of the parchment should be above the top of the tin by 3-4 inches. Cut a spare circle of parchment that fits the base. This may be used later to stop the cake from browning too quickly on the top. First sift the flour together with the baking powder into a spare bowl. Next in a large bowl add the softened butter, sugar and salt. Whisk these together until they are pale and creamy. Add the vanilla extract, 1 egg and 1 tablespoon of sifted flour. Whisk for 30 seconds until just incorporated. 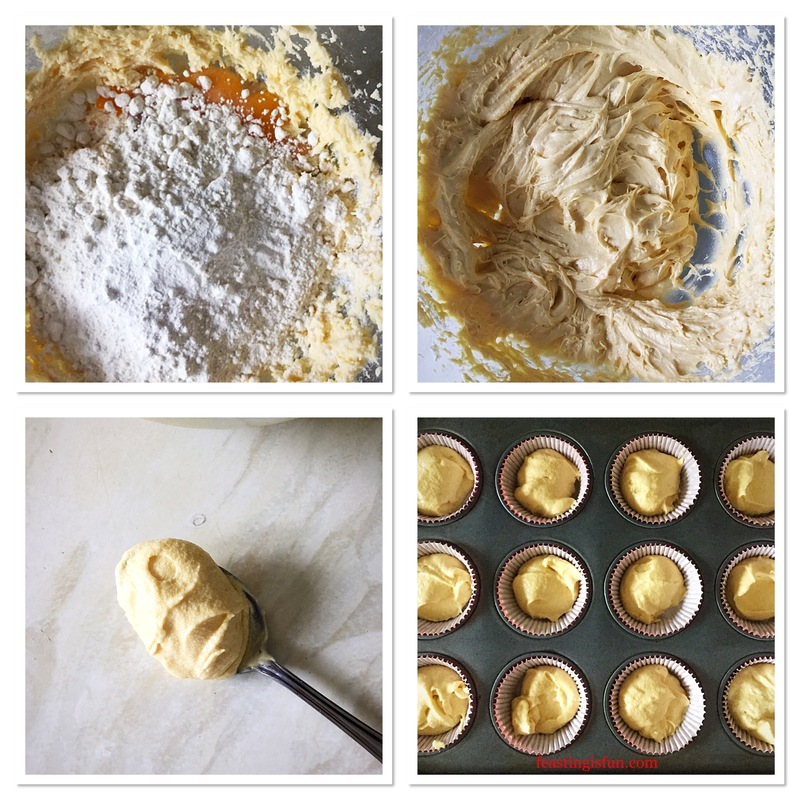 Repeat this process, adding an egg and 1 tablespoon of flour, whisking to mix, until all the eggs have been added. Now add the remaining flour and ground almonds. 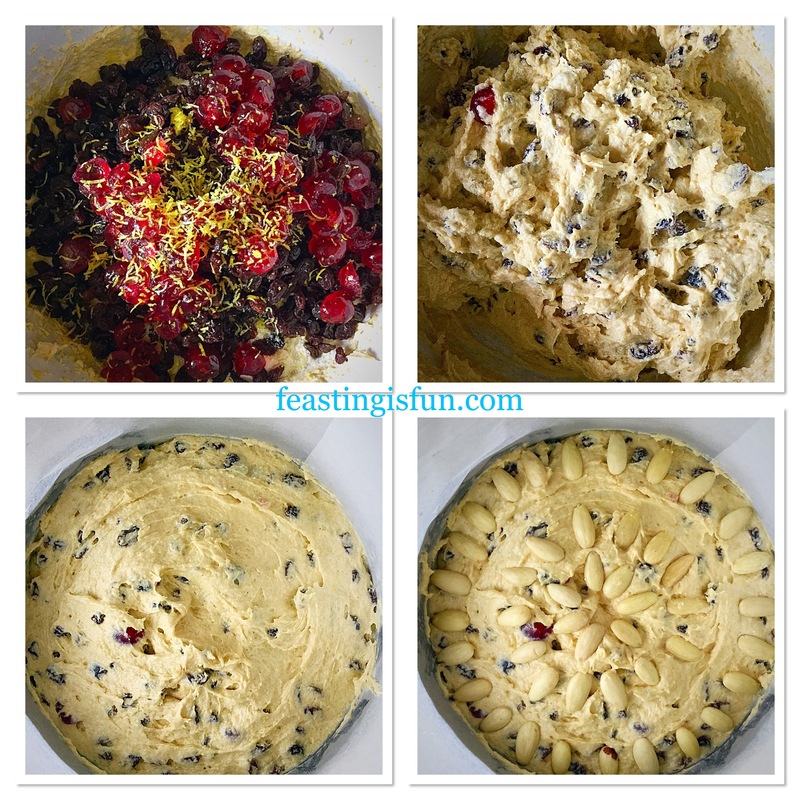 Then add the sultanas, raisins and glacé cherries. Grate the zest of the lemon directly into the bowl and then add its juice. 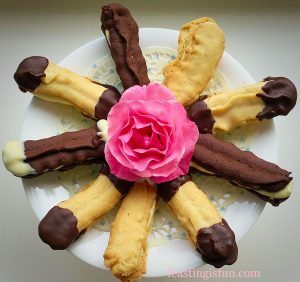 Finally add 2 tablespoons of sherry, or milk and using a large spoon fold all the ingredients together, adding another tablespoon of sherry/milk if the batter is too thick. Spoon the lemon/sherry flavoured cake batter into the parchment lined cake tin, smoothing the top so that it is flat. 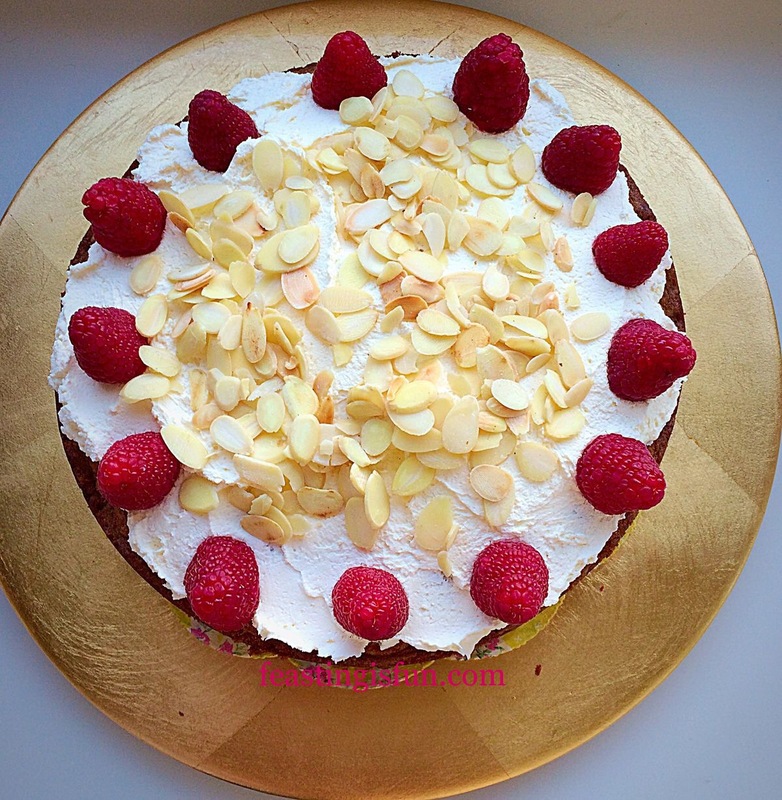 Decorate the top of the cake with 3 rings of blanched almonds – see the photos for guidance. 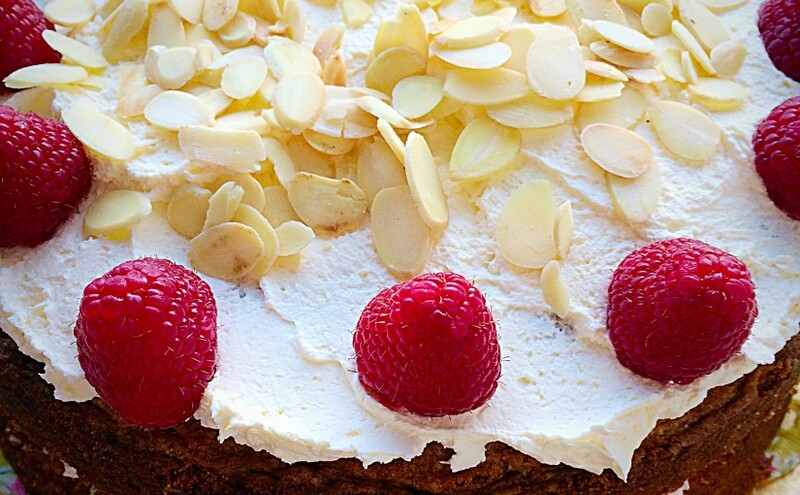 Tip – lay the almonds flat on to the cake batter surface. I pushed them in a little and a couple were enveloped by the cake batter whilst baking. Making the cake batter, filling the tin and decorating with almonds. Place an ovenproof dish of water on the shelf underneath the middle shelf in the oven. This should ensure a flat, even top as the cake bakes. 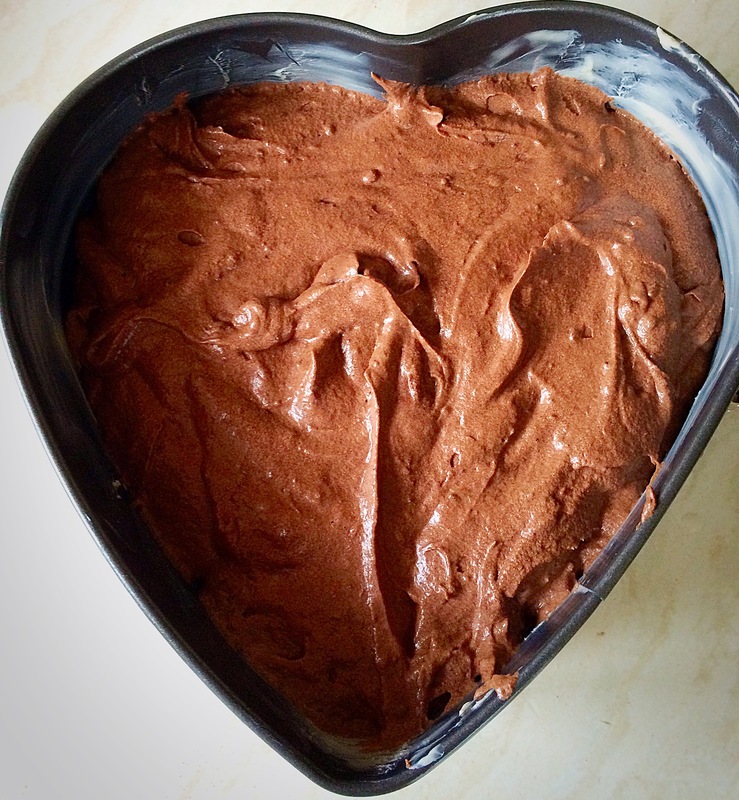 Next put your cake tin into the middle of the oven and bake for 2 – 3 hours. 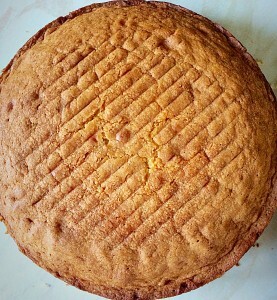 Check the cake after 1.5 hours baking. If the top is already golden, then place the spare circle of baking parchment on top of the cake. Because the cake still has a while to bake, this should stop the top from burning. 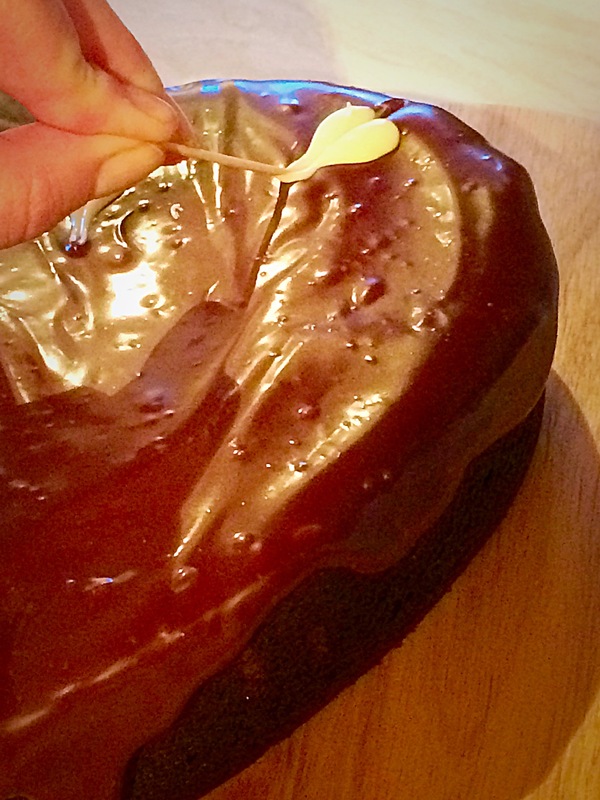 Once 2 hours baking time has elapsed, check to see if the cake is baked by inserting a skewer. The cake is baked when the removed skewer is clean. Should it have cake batter on it, the cake is not fully baked and needs more time in the oven. 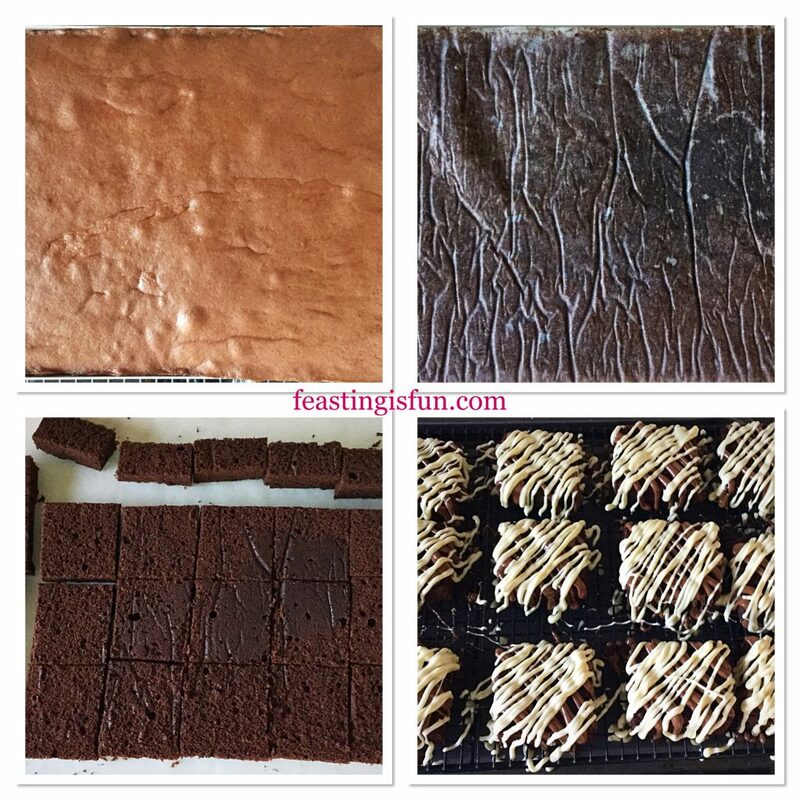 Continue checking the cake at 15 minute intervals. 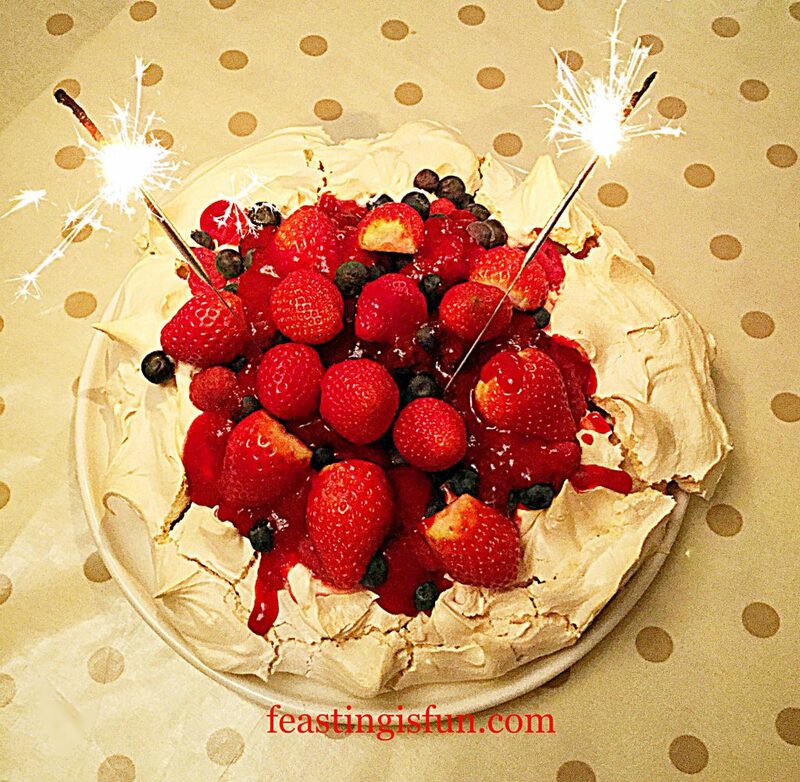 As soon as the skewer comes out clean the cake is fully baked and can be removed from the oven. 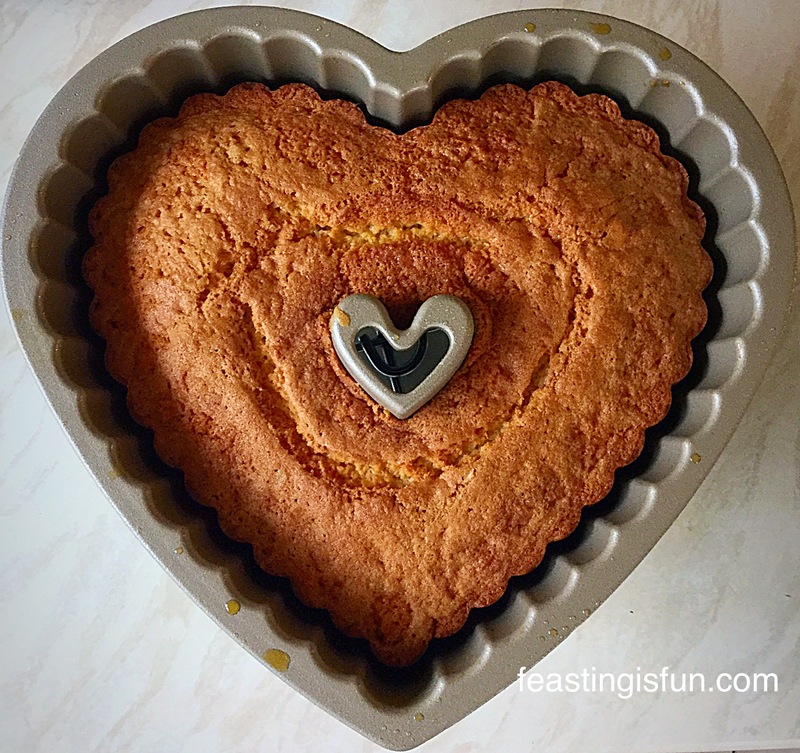 Place the cake tin on a trivet or cooling rack and allow the cake to cool completely in the tin. Leaving the cake to cool overnight is ideal. 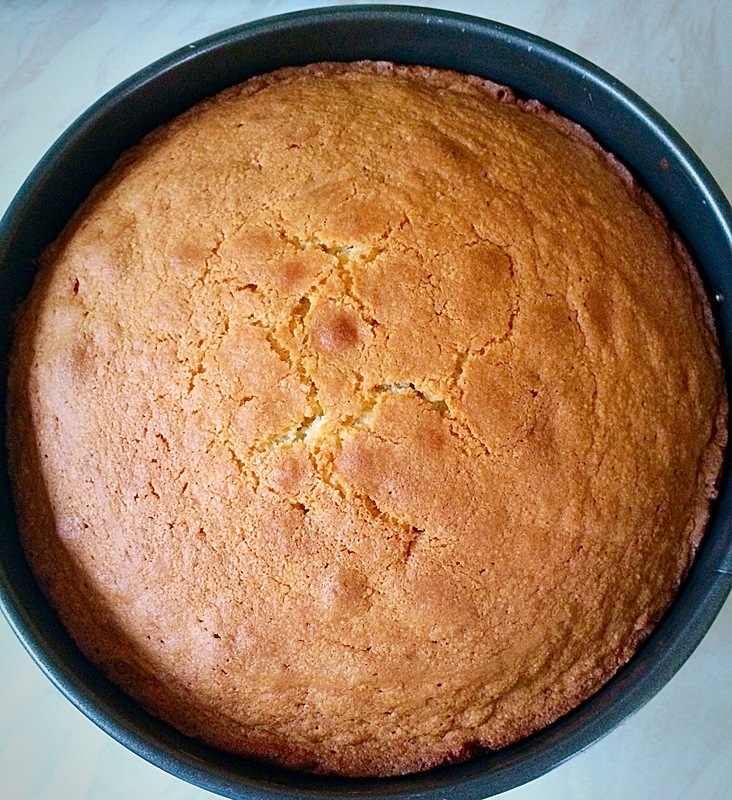 When the cake is completely cooled turn it out from the tin and then carefully remove the baking parchment from the base and the sides. Place on a board or cake stand. 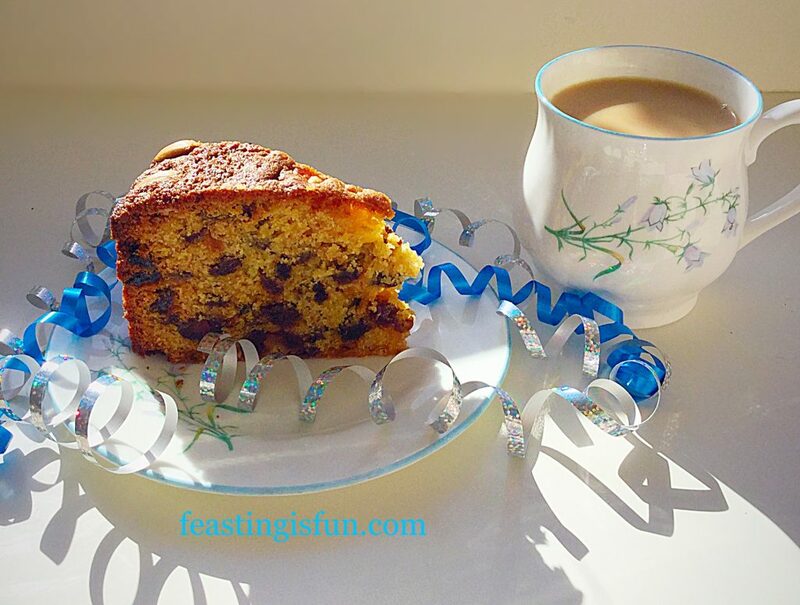 Dundee Fruit Celebration Cake a beautifully baked fruit cake. Serve the cake with a cup of tea, or a glass of something bubbly. Dundee Fruit Celebration Cake each bite is a celebration of good home baking. Homemade cake is far superior in both taste and texture when compared to mass produced, shop bought alternatives. 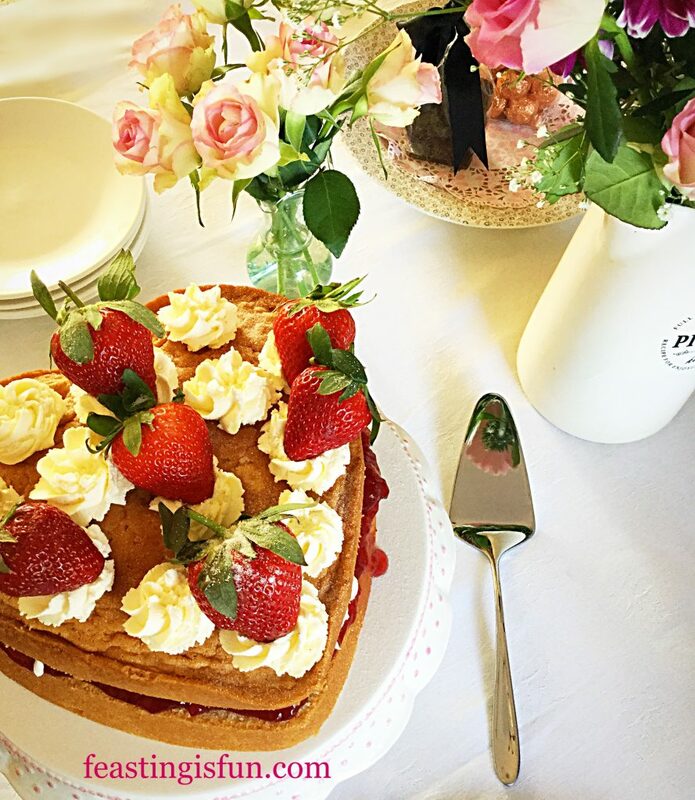 Any celebration, whether a birthday, anniversary, or family get together, will be richly enhanced, with the addition of a home baked cake. Raspberry Almond Cream Cake made to see in the New Year. 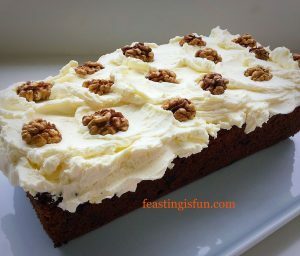 Mascarpone Topped Carrot Cake made to celebrate my love of carrot cake! 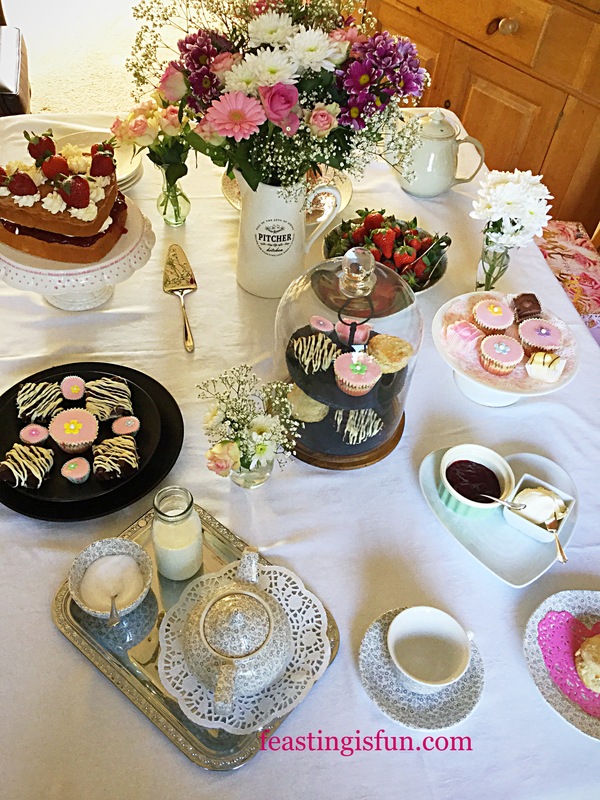 While I enjoy baking cakes, getting together with family and friends is always a celebration when cake is present. 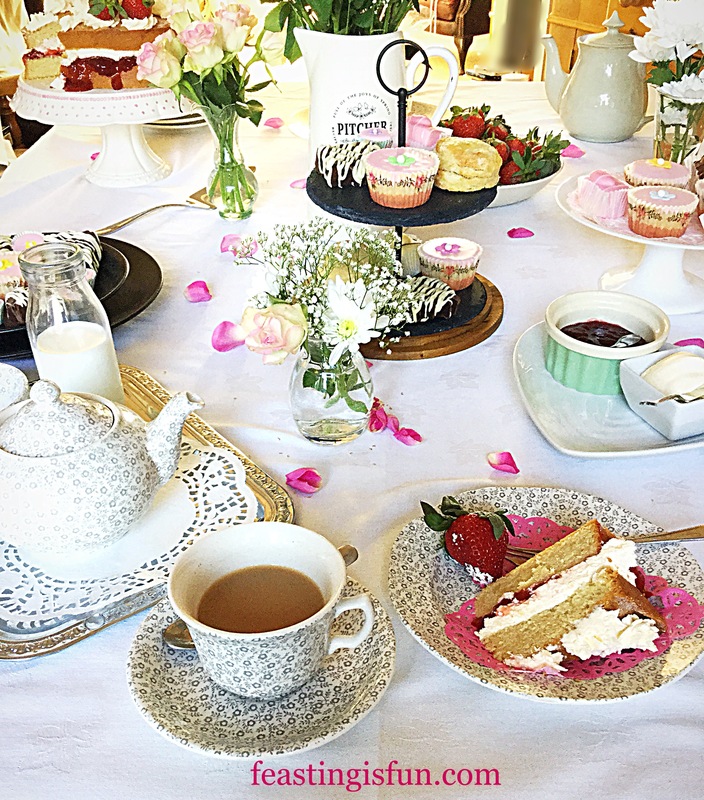 Catching up over a slice of cake and a cup of tea can turn any event into a celebration, even if it is simply sharing with a neighbour. Most of all, my long held belief that food shared, not only tastes better, it also somehow enriches the experience of eating. As a result our lives are made richer, purely by eating with others. A simple concept that can easily be achieved. I have wonderful news to share, I am an adopted Auntie again. One of my very best friends had her beautiful daughter Florrie, a little early, but mum and baby are doing so well. 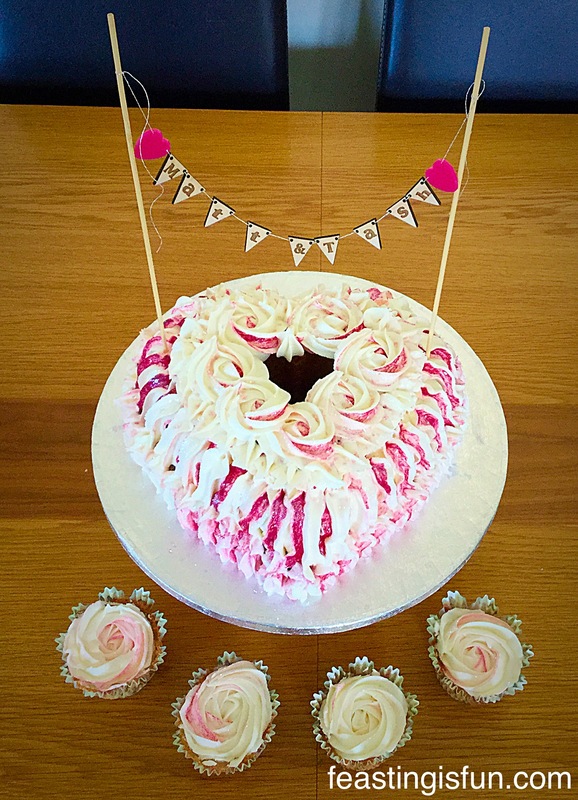 I simply had to make something to celebrate this gorgeous bundle of joy that has been brought into our lives. 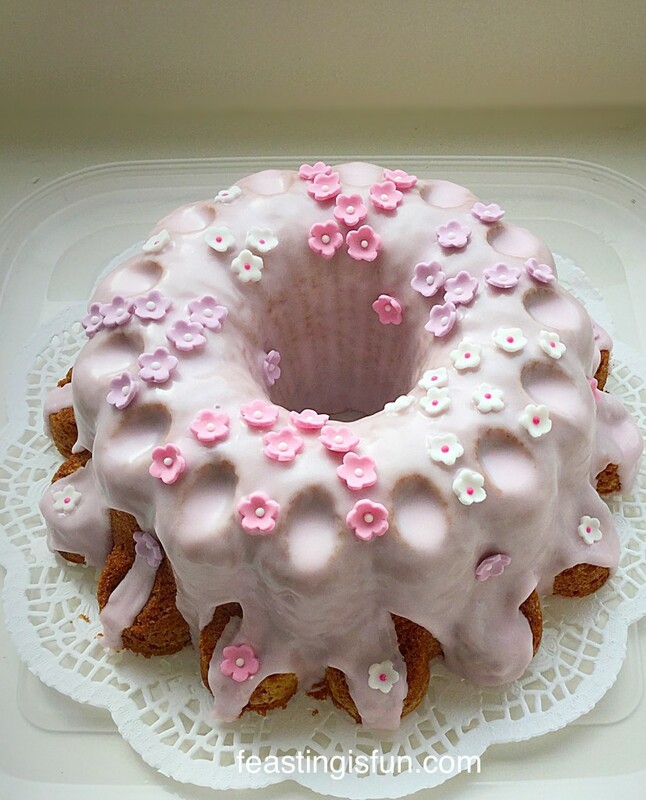 So I baked Florrie’s Flower Vanilla Bundt Cake. As the new mum is nursing her wonderful baby daughter, I kept everything in this cake as natural as possible. 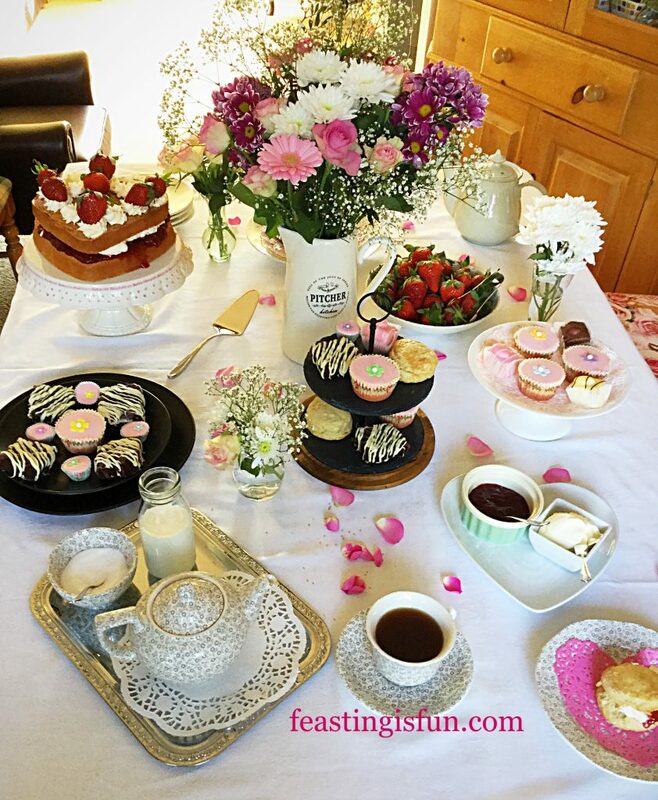 As whatever mummy eats, Florrie will have too and I want her to learn to love Auntie Sammie’s cakes, right from the start. New babies bring such joy and pleasure into our lives. Having had three children I absolutely knew my friend would very much appreciate a little food hamper. 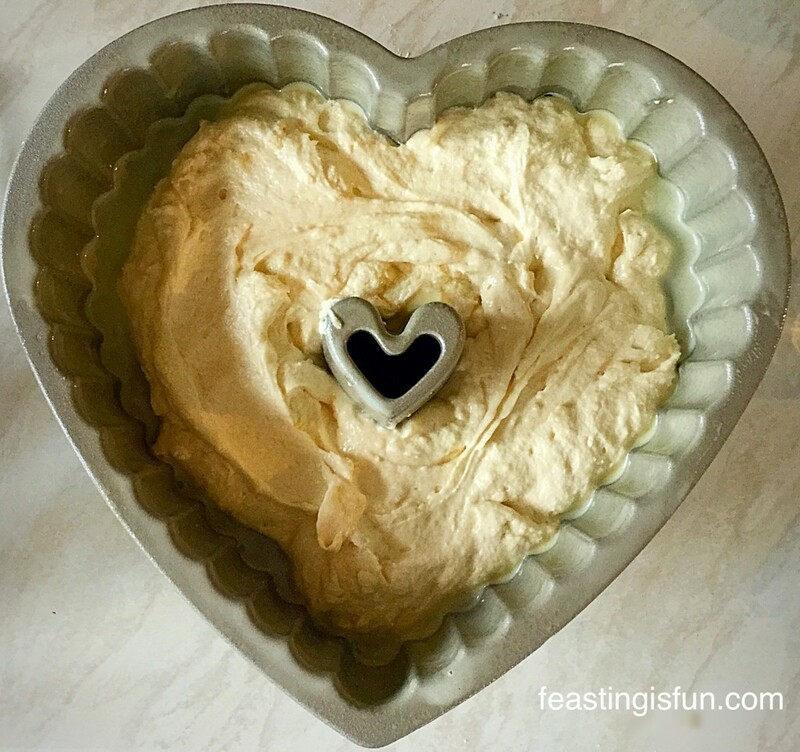 A freshly baked Farmhouse White Loaf, simple dinners, pre-portioned so that mummy just has to pop them in the oven, like my Best Beef Casserole and of course a little something sweet, Florrie’s Flower Vanilla Bundt Cake. Flower Vanilla Bundt Cake a sweet energy boost for the new mum. I remember clearly when I became a new mum for the first time. 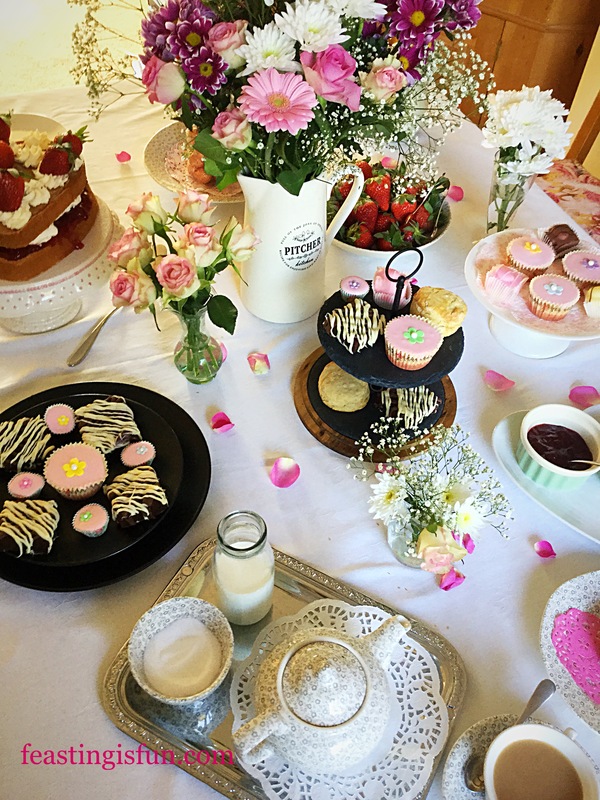 Although I had a safe delivery and the maternity suite at the hospital was brand new, there was one thing I craved – food! All that seemed to be on offer was salad. Salad is not what a nursing mother needs! 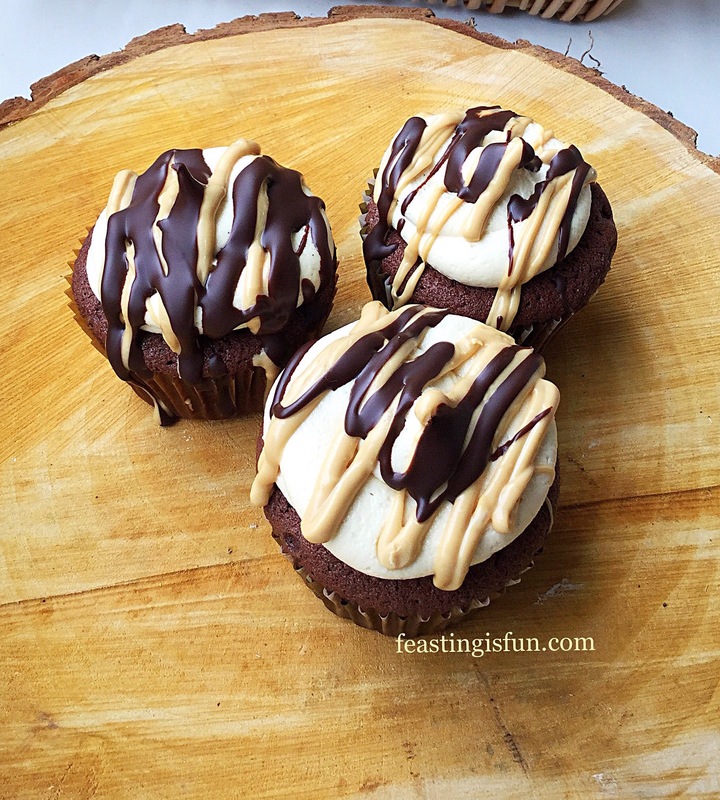 This mummy needed carbs and lots of them! Had the salad been in a thick, carb rich sandwich I would have been fine. Fortunately I wasn’t in hospital for very long and I remember my husband making me the most unbelievably satisfying, bacon muffin with tomato ketchup. To this day it is one of my favourite treats, now that I am no longer nursing, it has to remain just that, a treat. 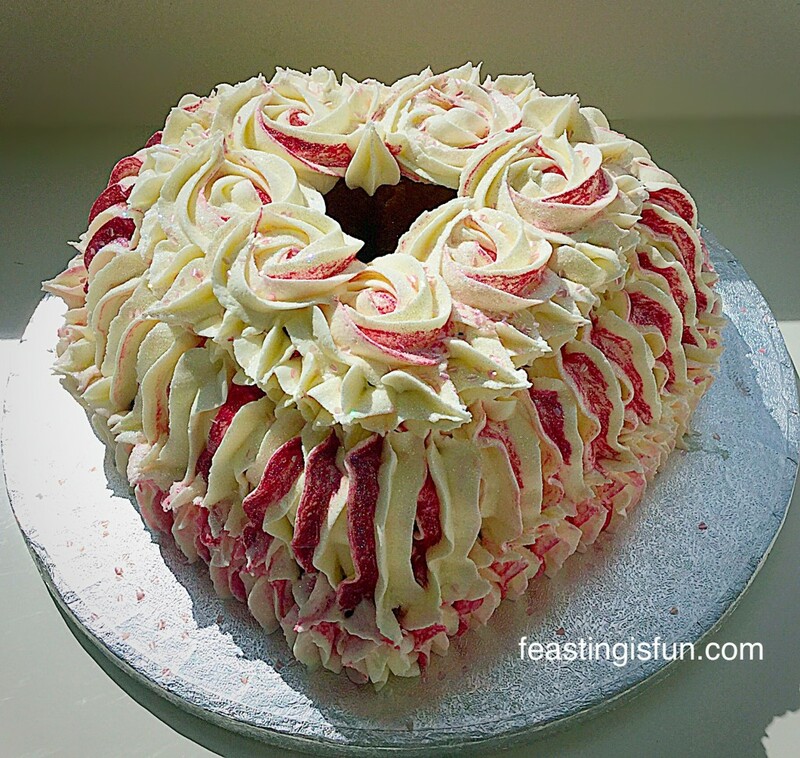 Flower Vanilla Bundt Cake flavoured with vanilla bean paste this cake is utterly delicious. I have alway been called ‘practical and sensible’ by my lovely Mother-in-law. This I consider to be a huge compliment and a true reflection of how I see myself. So when a new baby comes along, I’m not the type of person to go baby clothes shopping, or to send flowers. Both of which are wonderful gifts to receive, I may add. Nope my first thought is – how can I help? If you have spent time reading this blog, you will be aware that I have various health issues (see Living With Seizures). 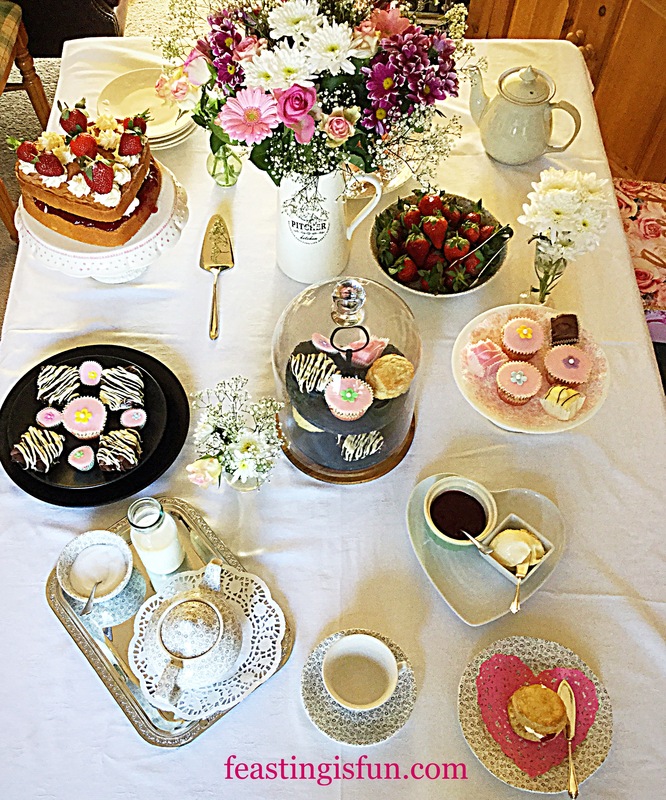 This means I am limited in how I can help out with an adorable new baby, in a practical way. For me that means food! I can make bread easily, I had been cooking slightly extra, so that a single portion of Sausage and Bean Casserole (made without the addition of any alcohol), could be frozen for when it was needed. This is my way of helping. 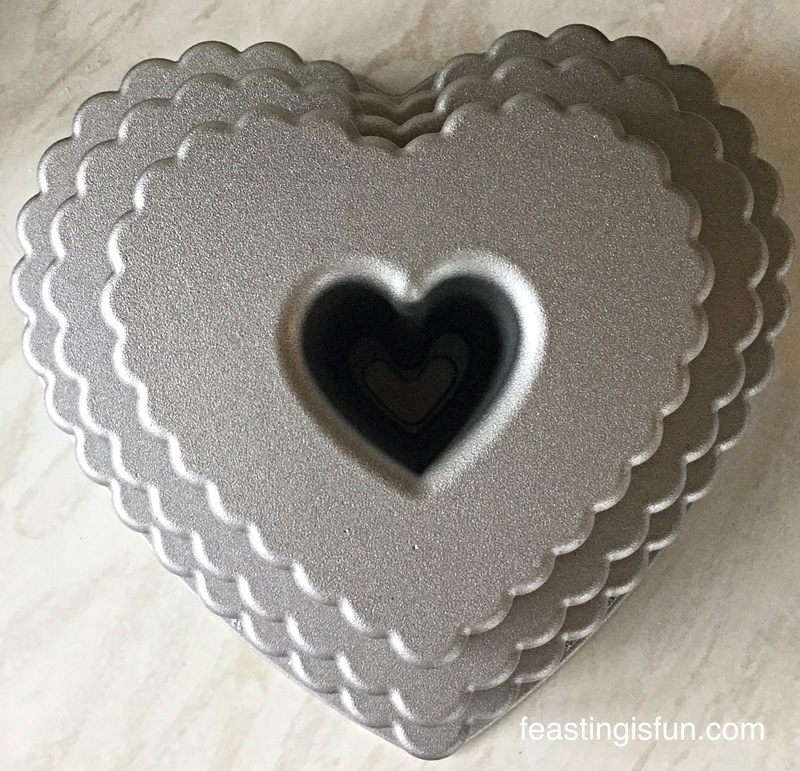 When I am making a Chicken Lasagne it is so easy for me to pop a couple of individual portions, in foil containers and place them in the deep freeze. This way I gradually build up enough meals for a food hamper, that can be delivered and make my friend’s life a little easier. Being a new mum is hard enough, but when you are on your own you need all the support you can get! 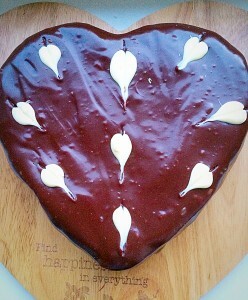 Plus my lovely friend is a big fan of my cooking and has been an ‘unofficial’ taste tester for many years now. 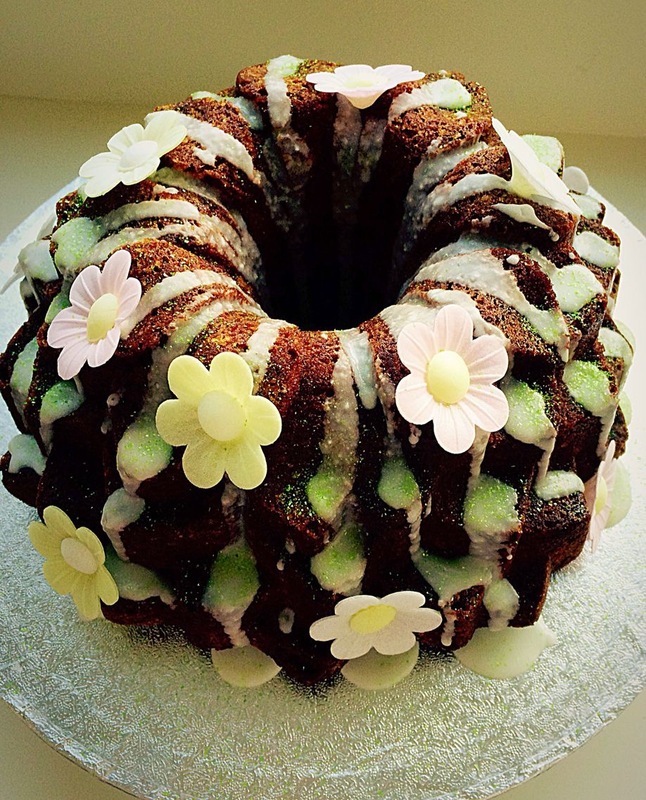 Let’s hope Florrie will grow to love good, homemade meals and delicious cake, like her Flower Vanilla Bundt Cake. Place the butter and caster sugar into a large bowl and whisk, or beat for 5 minutes until pale and creamy. Add the Vanilla Bean Paste and whisk/beat to incorporate. 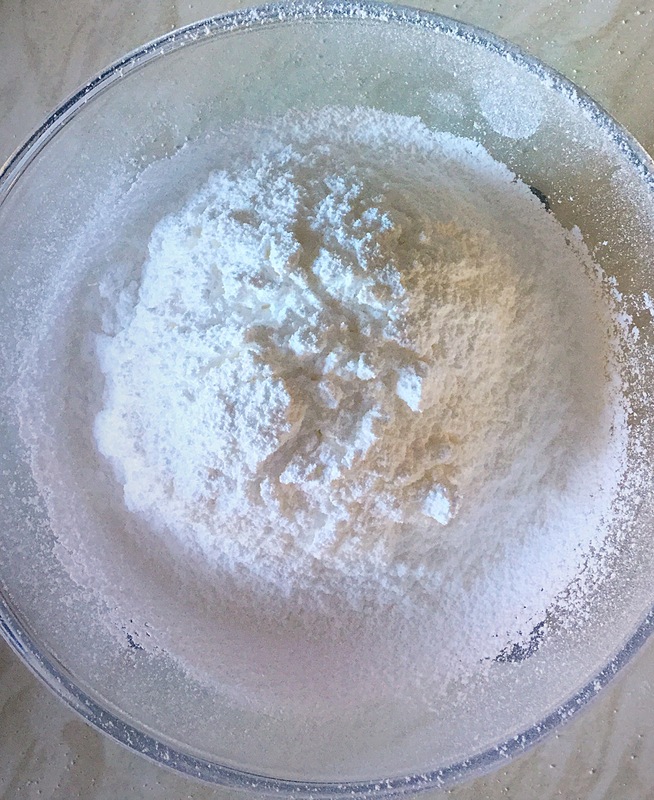 Sift in 1/3 of the flour, baking powder and salt. Whisk gently until just combined. Repeat the last 2 steps twice more, adding only 1 egg on the last time. Spray the Bundt tin liberally with cake release spray over the sink. 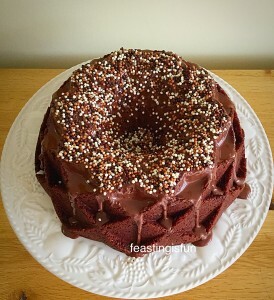 Spoon the cake batter into the Bundt tin pressing down on the batter as you fill the tin. 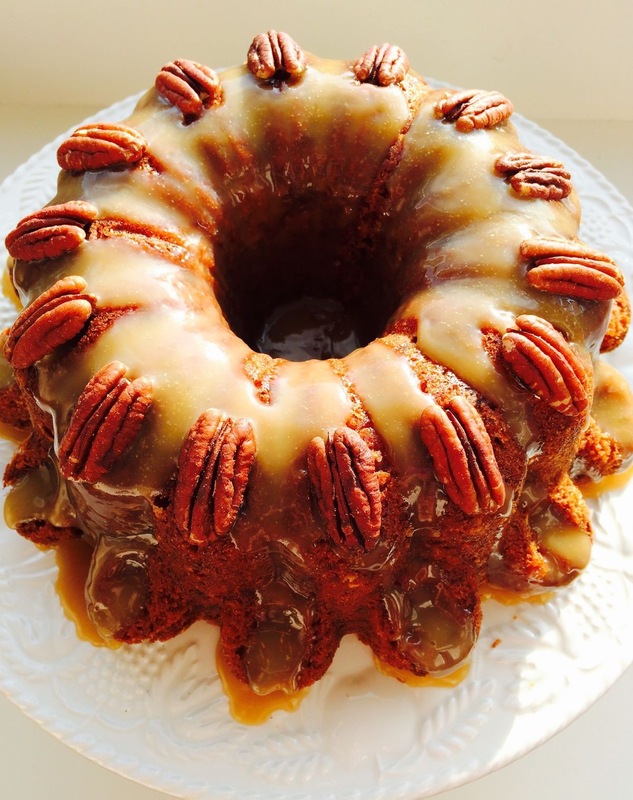 Ensure the cake batter fills the Bundt tin no more than two thirds full. 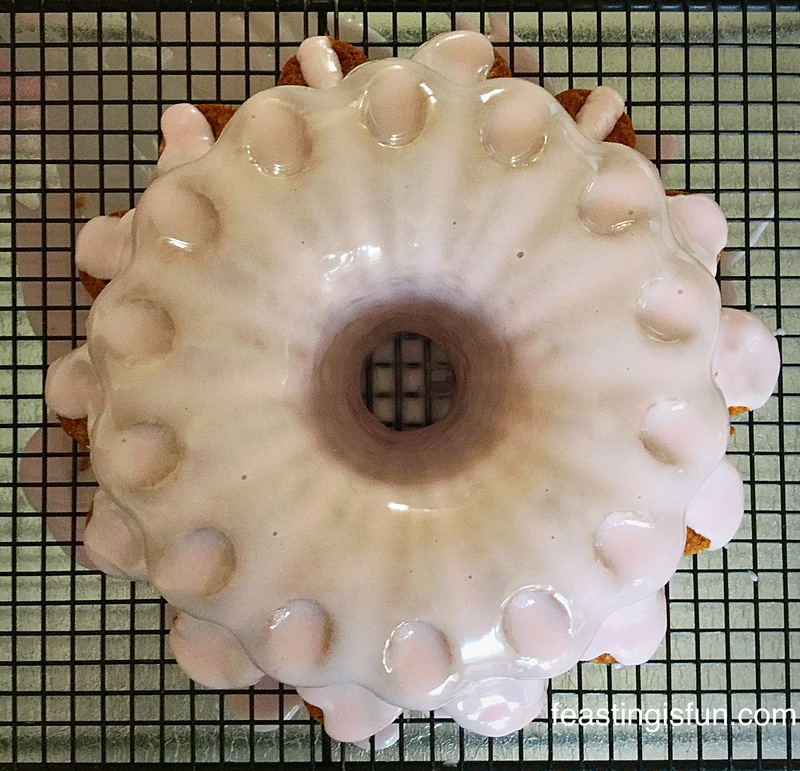 Place the Bundt tin in the middle of the oven and bake for 50-55 minutes. 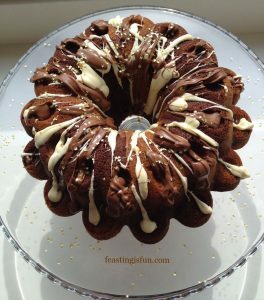 The cake is baked when it is golden in colour, is coming away from the sides of the Bundt tin and an inserted skewer comes out clean. Place the tin on a cooling rack and allow the cake to cool for 10 minutes in the Bundt tin. 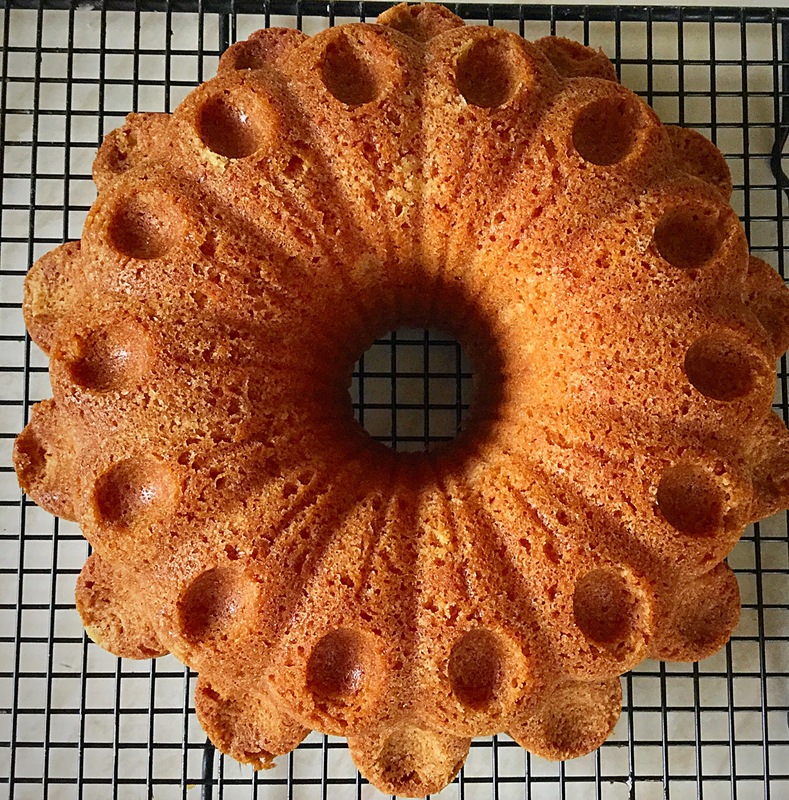 Flower Vanilla Bundt Cake leave to cool for 10 minutes. 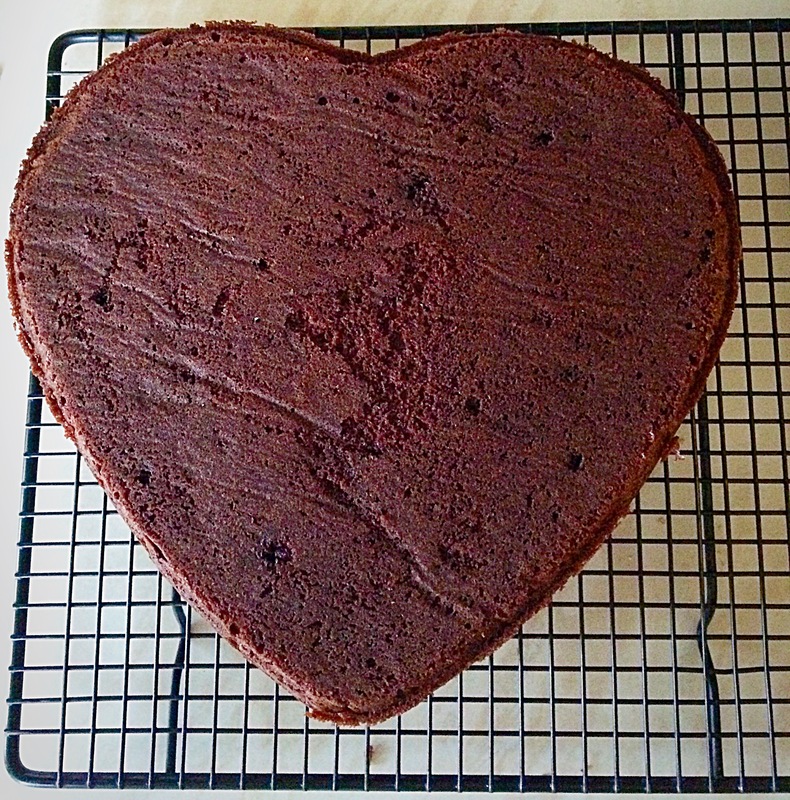 After the cake has cooled for 10 minutes turn out onto a cooling rack. Wear oven gloves as the Bundt tin will still be very hot. 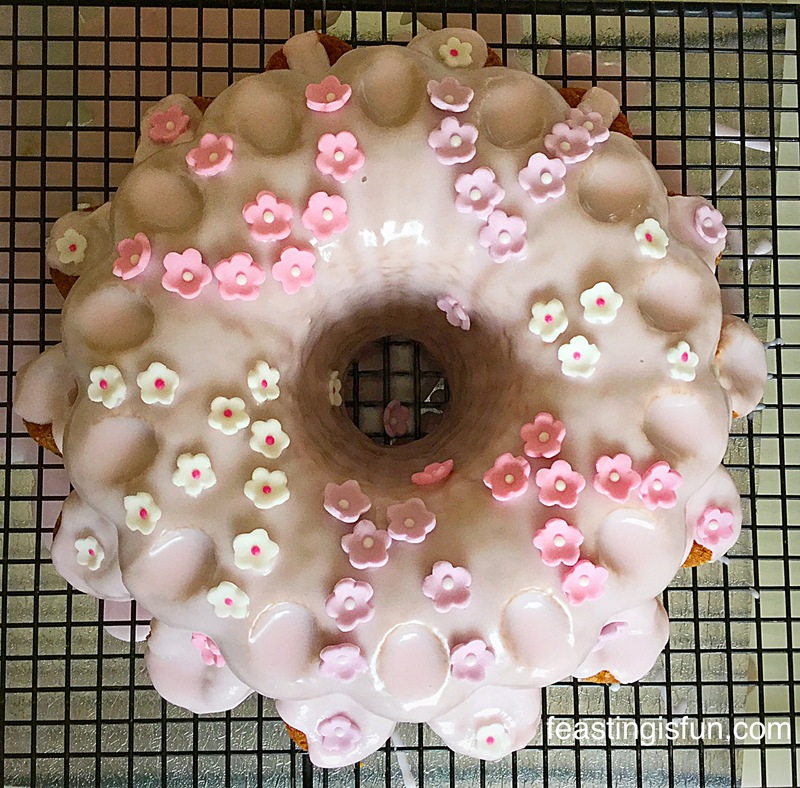 This Flower Vanilla Bundt Cake turned out beautifully. 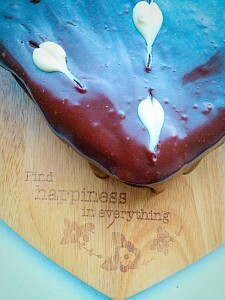 To make the glaze, sift the icing sugar into a large bowl. Add enough water to make a thick paste, that still slightly drips. 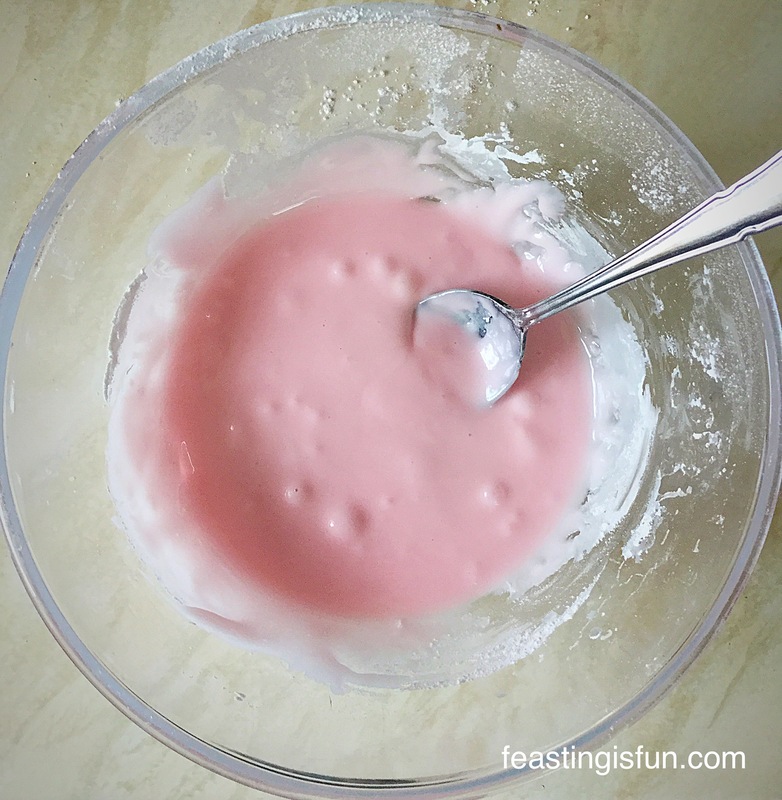 Add a tiny amount of pink food gel colouring to the icing and mix thoroughly. 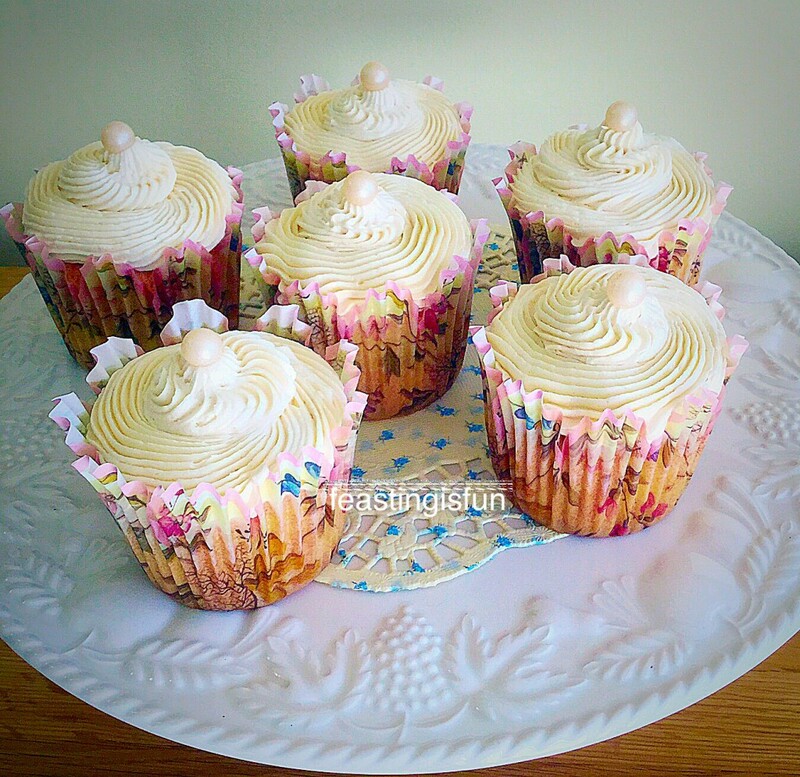 Beautiful baby pink, almond flavoured icing. Place a tray underneath the cooling rack on which the Bundt cake sits. 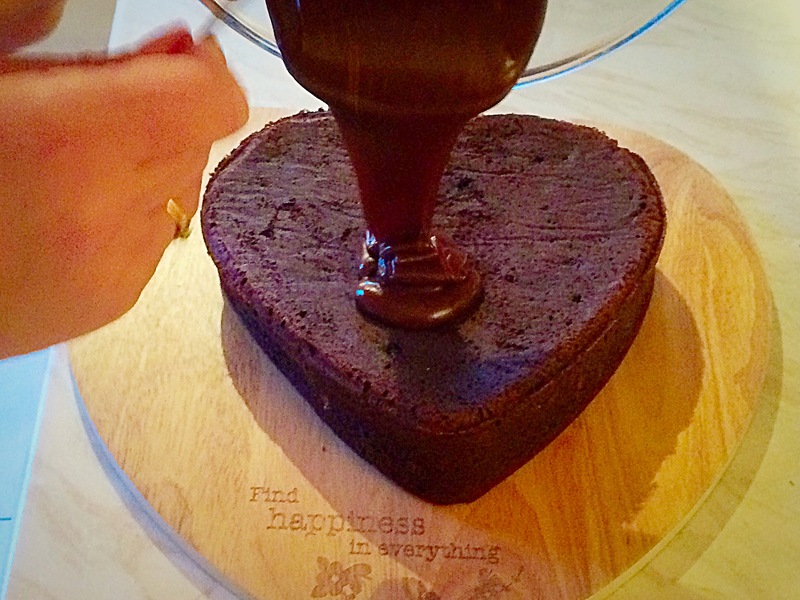 Using a dessert spoon thickly drizzle the top of the cake with the icing. Ensure the entire top and the internal hole of the cake of the cake are completely covered in icing. 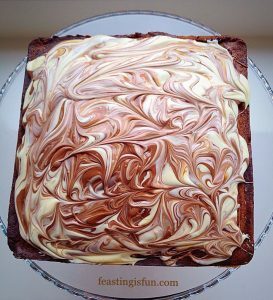 Any leftover icing can be used to add to the drizzle effect on the cake. 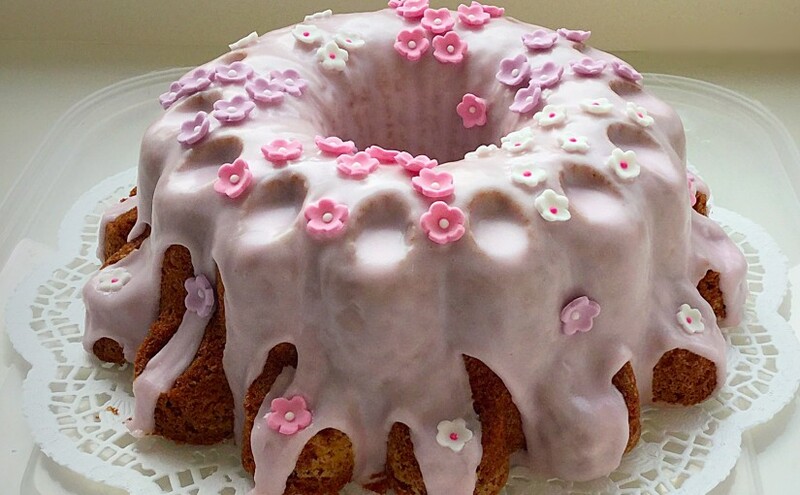 The excess glacé icing will drip off of the Flower Vanilla Bundt Cake into the tray. 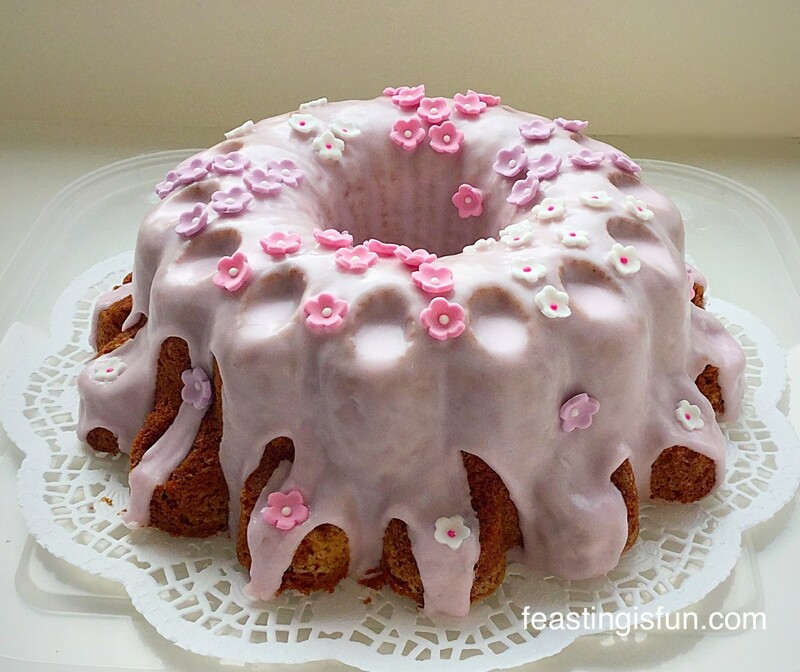 Decorate your Flower Vanilla Bundt Cake with pretty flowers. Allow the cake to set before serving and eating. 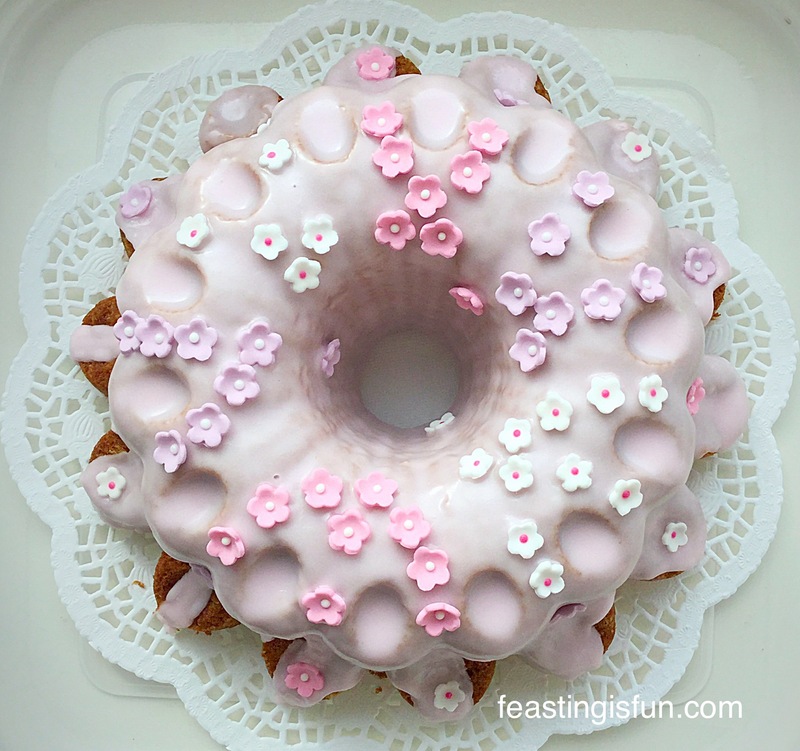 Flower Vanilla Bundt Cake beautifully presented on a large plastic lid! 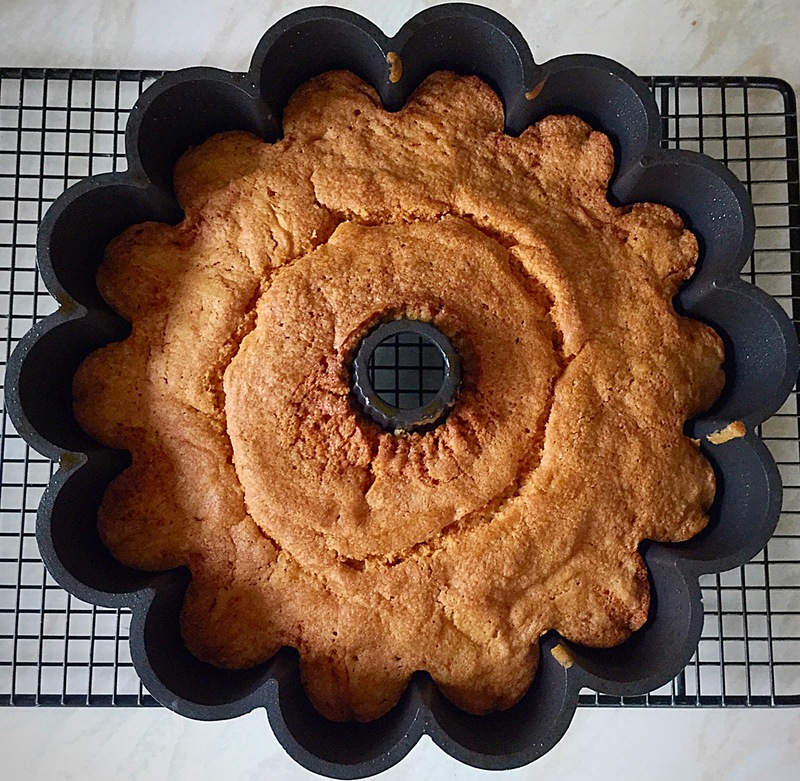 The observant among you may have noticed that this beautiful Flower Vanilla Bundt Cake has been photographed on the lid of a plastic box. Well practical to the last (and in all honesty completely out of cake boxes!) 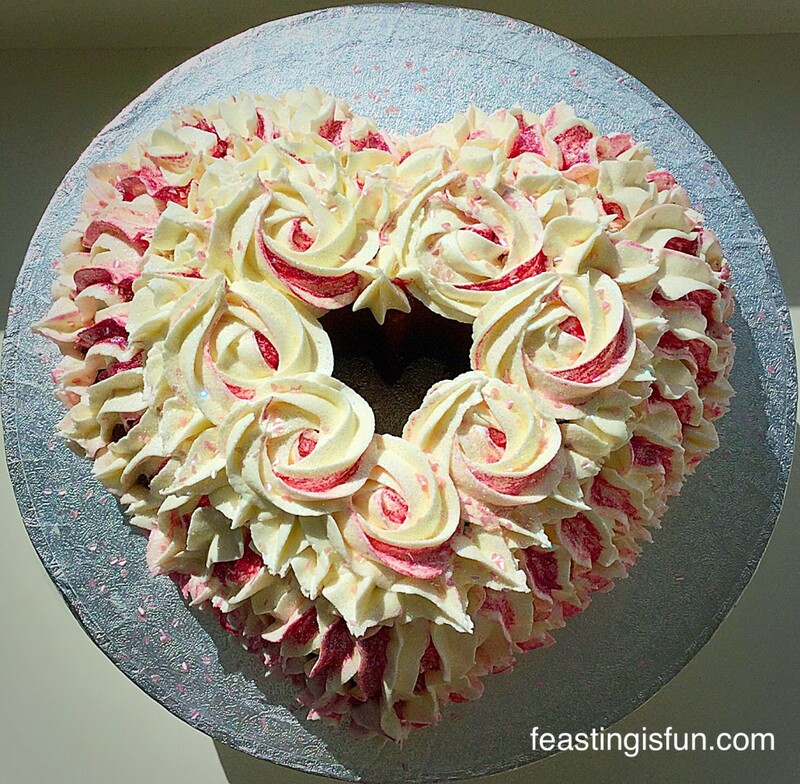 as this cake is not very large or heavy, placing on the inside lid of a large box keeps the cake fresh. Once transported to my friend, the cake can be moved to an airtight container of her own. I only advise using this technique for very light cakes and definitely do not cut the cake whilst it is sitting on the lid. 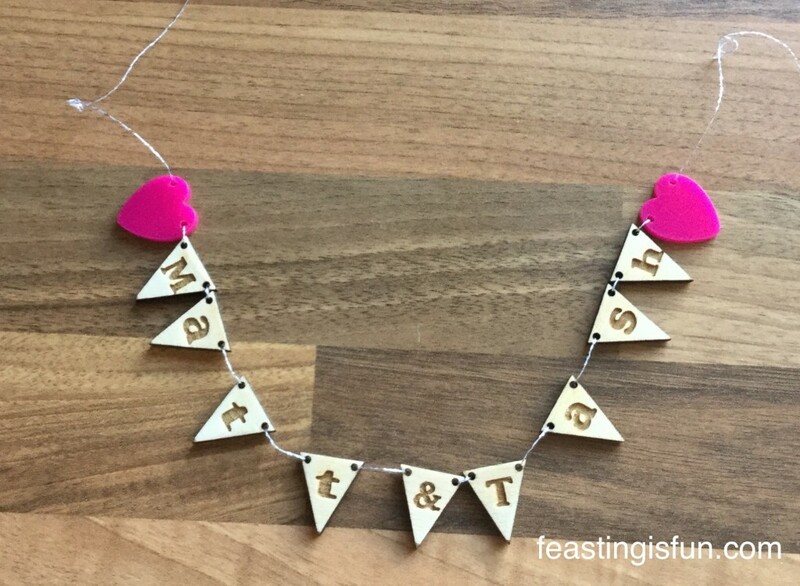 Do you like the idea of making someone a food hamper? Have you ever received one yourself? 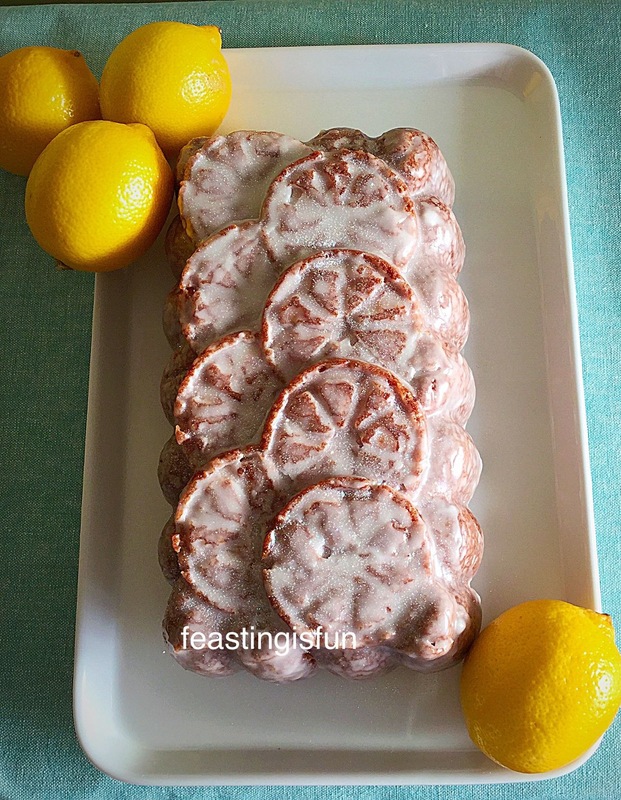 Glazed Lemon Bundt Cake – I used a thinner glacé icing to completely gaze this cake. Crazy Caramel Carrot Cake utterly delicious. 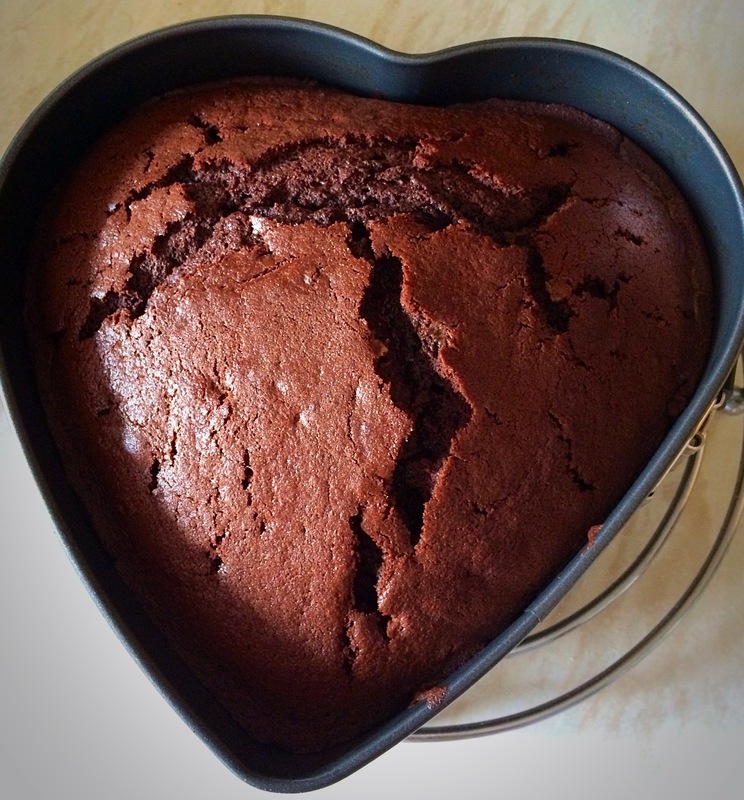 I absolutely love seeing photographs of your bakes. 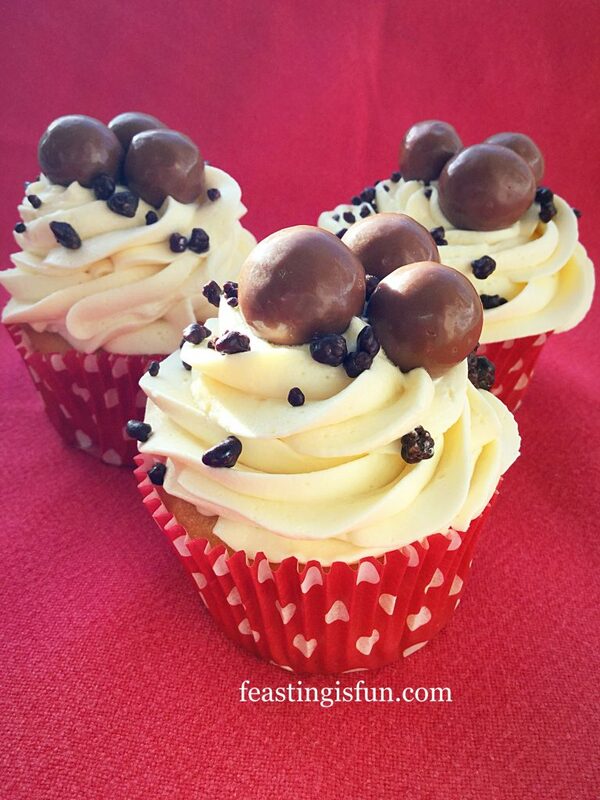 I’m also available throughout the day on Twitter to answer any ‘mid-bake’ questions or worries. 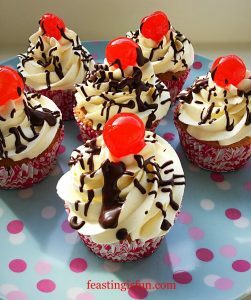 I am not an expert but there is a whole group of bakers on Twitter and between us there’s not usually a question that goes unanswered! Have fun whilst you bake. 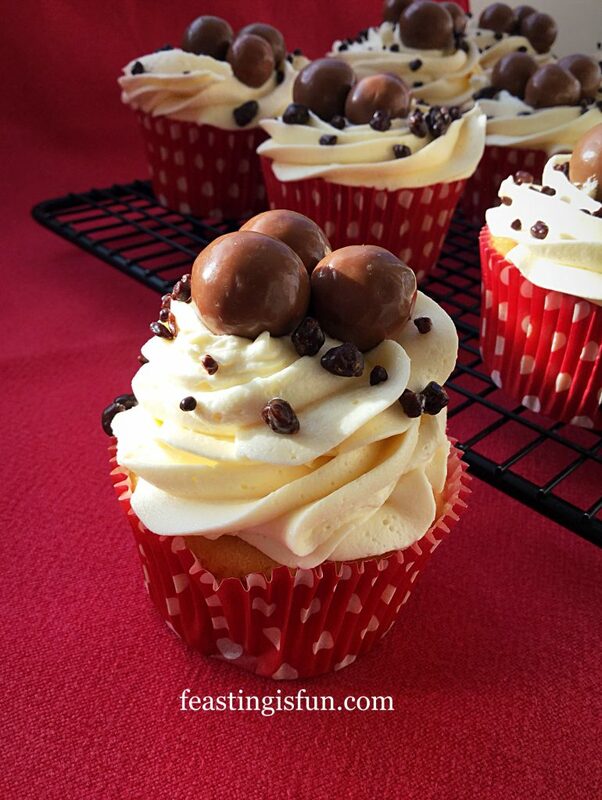 It’s Sunday, time for a little treat?? 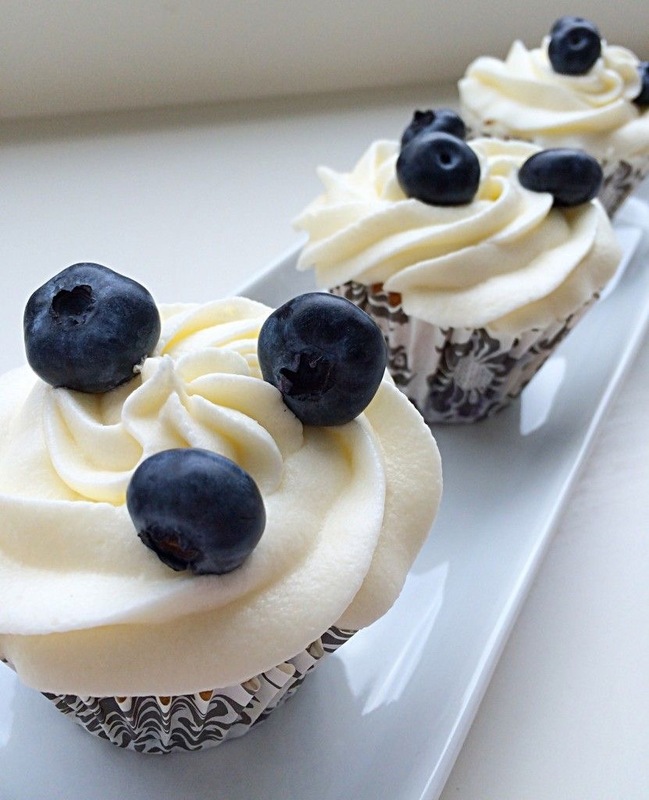 So how about these Vanilla Bean Cupcakes? 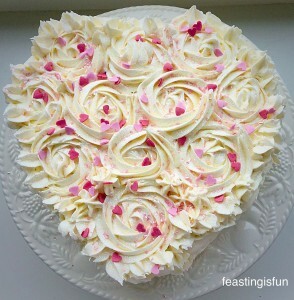 Moist, vanilla flavoured sponge, topped with the lightest, most dreamy vanilla buttercream and a pearl, because you are special. 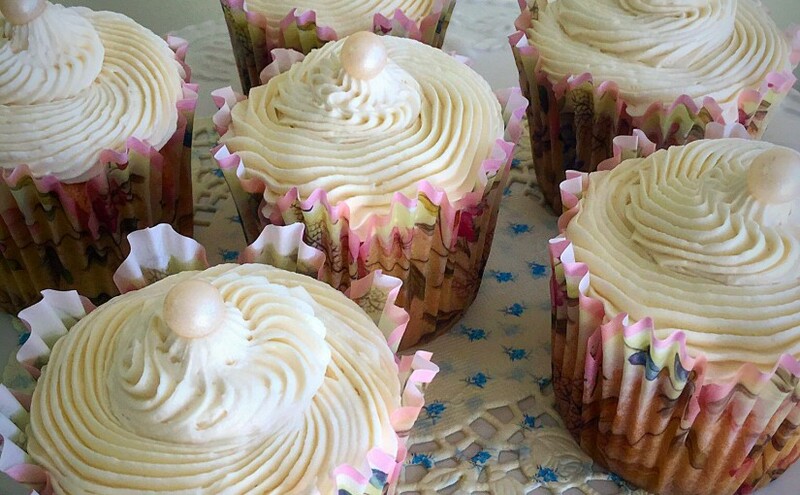 Look how pretty these cupcakes are. 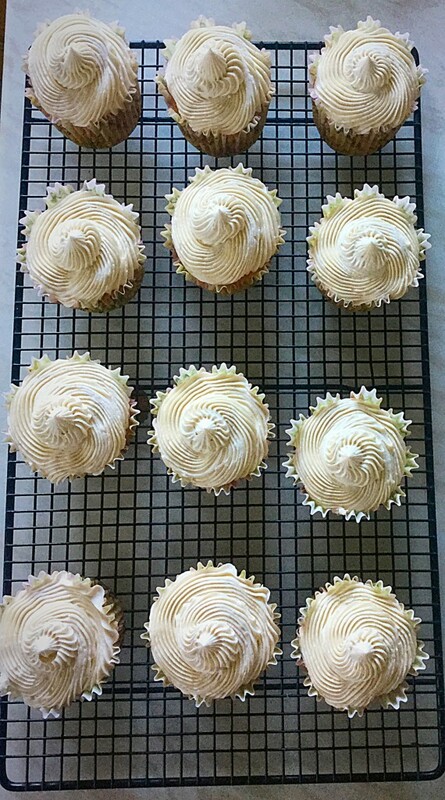 So beautiful, that I almost called them antique Vanilla Bean Cupcakes, although I thought better of it. Since I’m pretty sure everyone would have imagined them as hard, mouldy, relics of the past – yep not conjuring up the image I’d like!!! 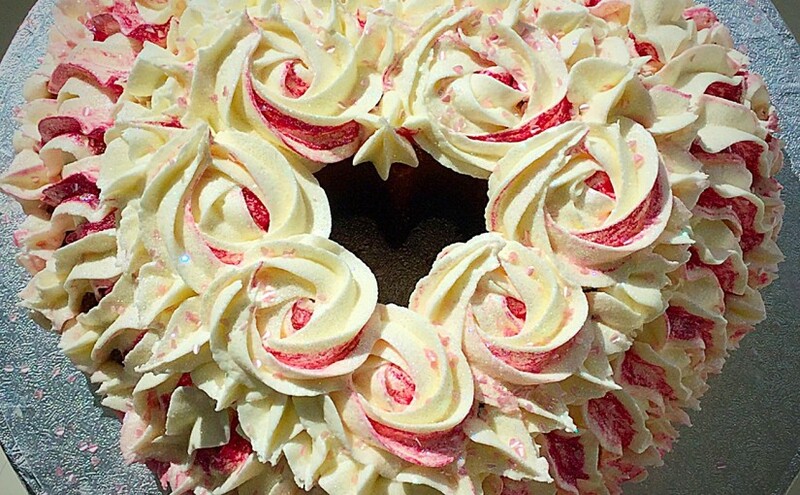 Especially stunning are these cupcake cases. A wonderful Christmas present from a much loved friend. Because I received quite a few cooking and baking related presents last year, for both Christmas and my birthday, using them feel extra extra special. Especially the little, cute, individual cupcake stand , present from my hubby. Also I was very excited to receive four cookbooks, which I enjoy reading, as if they are novels. Although I very rarely follow a recipe religiously, I gather inspiration and ideas from my ever increasing cookbook collection. Am I alone in my cookbook obsession collection? Thought not!!! These Vanilla Bean Cupcakes were the final bake for a review I have been carrying out. 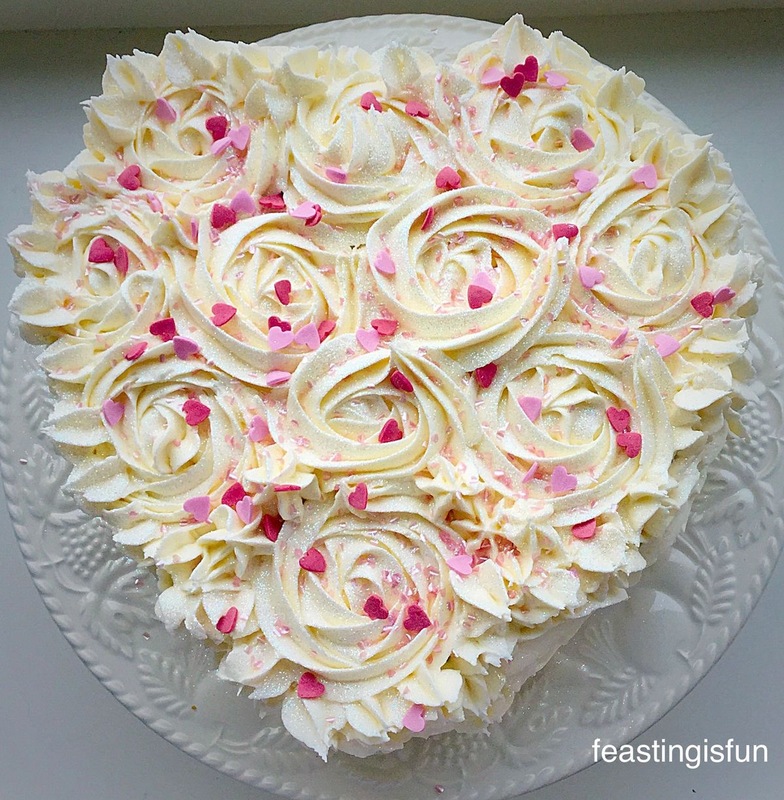 So after much discussion with my daughter, regarding flavour combinations, we decided to settle on a classic vanilla sponge, with the addition of vanilla bean paste instead of extract. 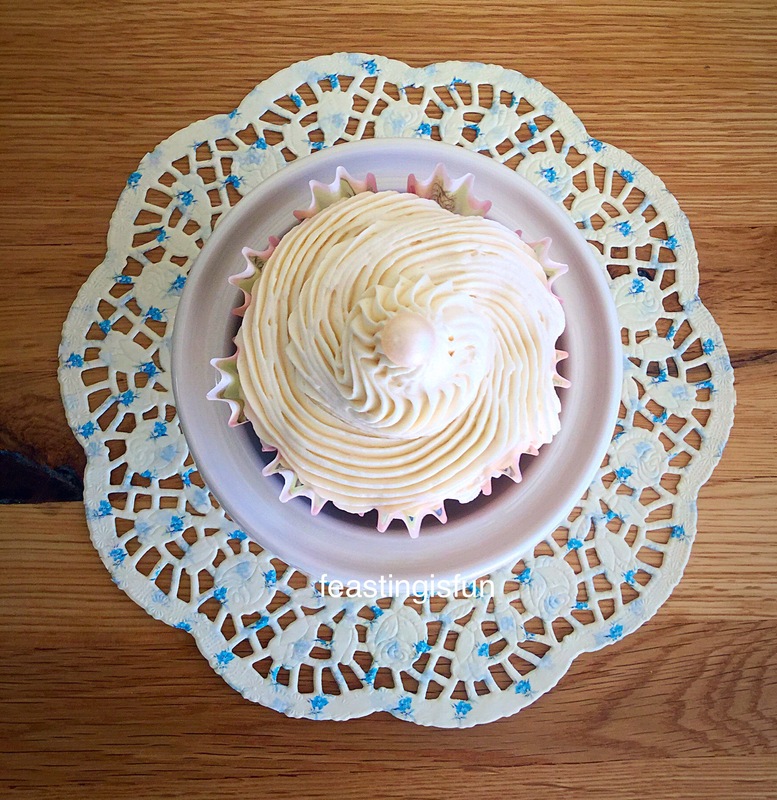 Yet I kept to vanilla extract for the best buttercream icing ever! 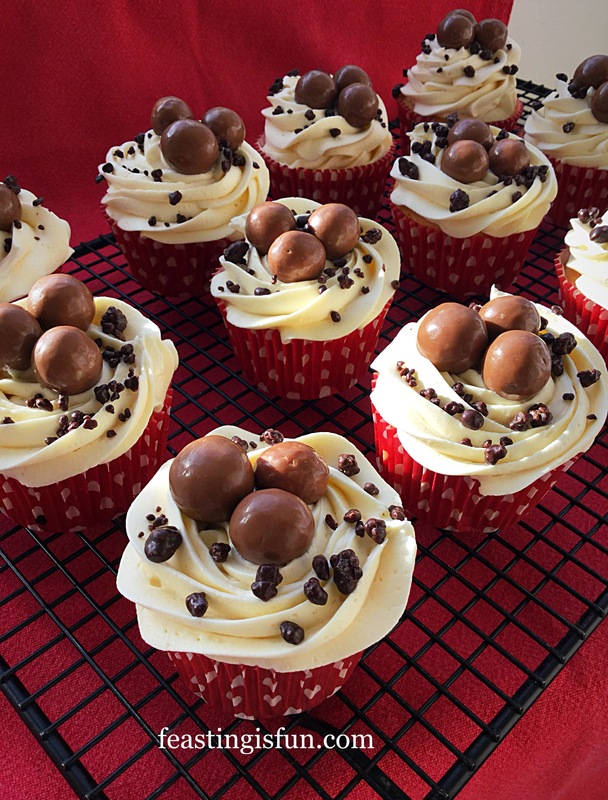 The result being, the best cupcakes I have made, this year! 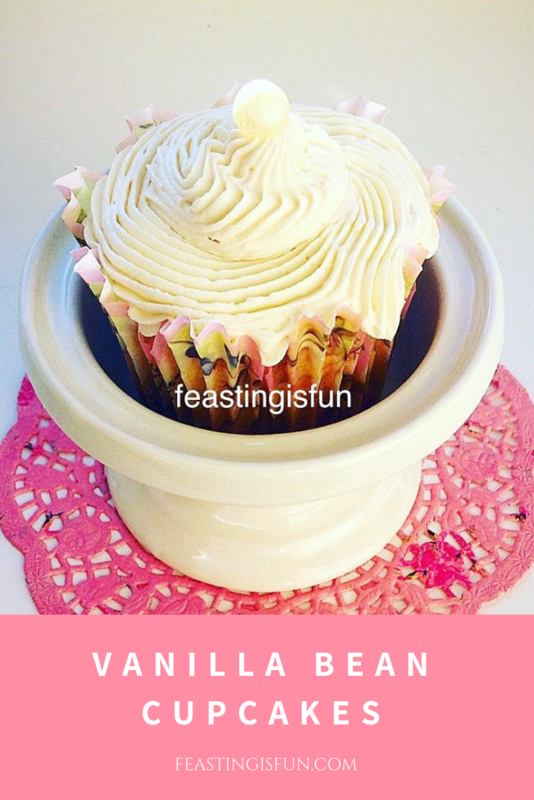 Recipe: Makes 12 deep filled Vanilla Bean Cupcakes or 18-20 standard ones. First of all, into a large bowl add the butter and caster sugar. 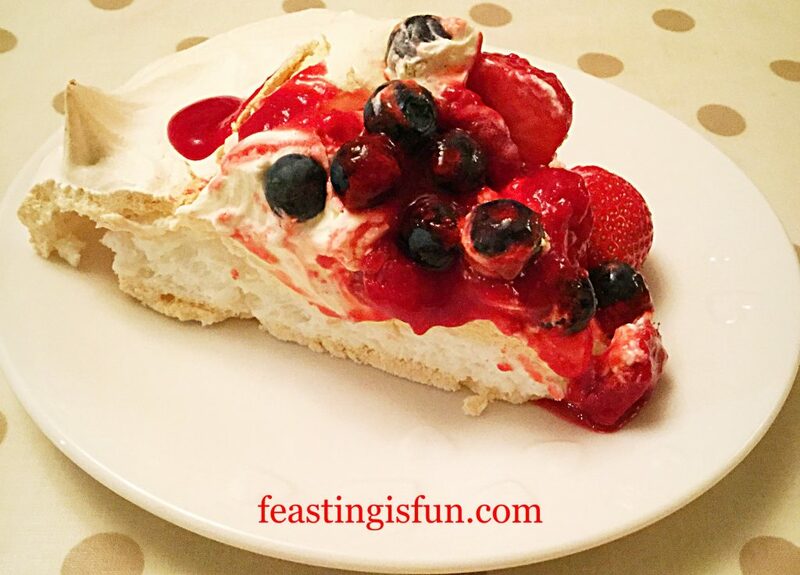 Whisk the ingredients together until pale and creamy. Add the eggs, milk, vanilla bean extract and salt to the bowl and whisk until fully combined. Fold all of the ingredients together. 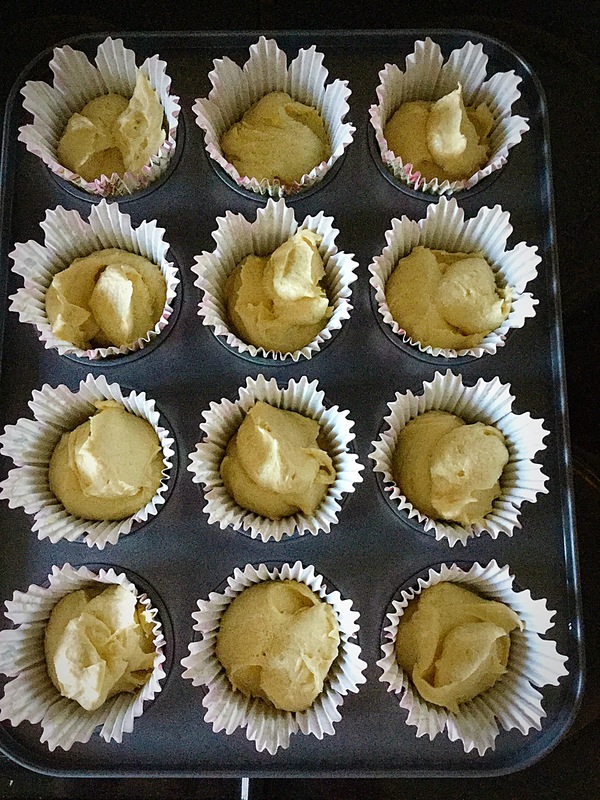 Spoon the cake batter into each cupcake case so that they are half full. 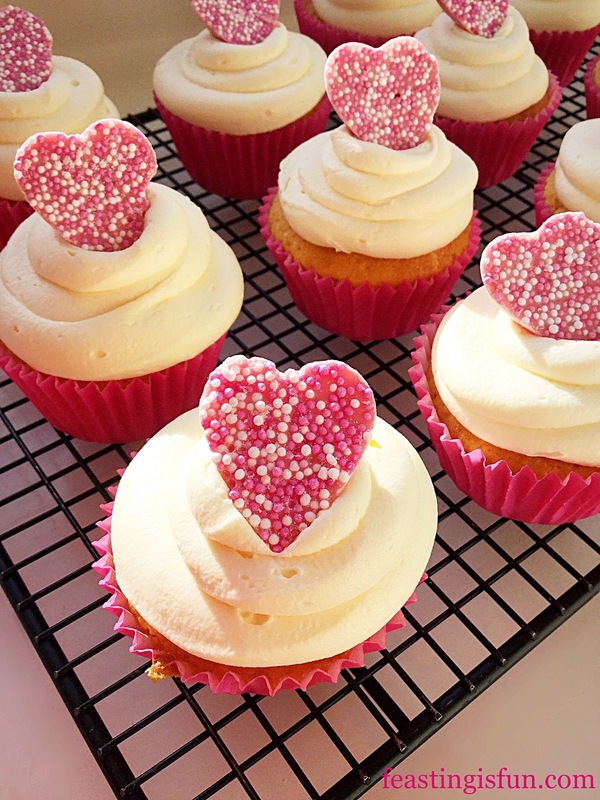 Place the cupcake tray into the middle of the preheated oven and bake for 20 – 25 minutes (a shorter time will be required for smaller cupcakes). The cupcakes are baked when golden brown and spring back when pressed lightly in the centre. As soon as the cupcakes are baked remove the from the oven. 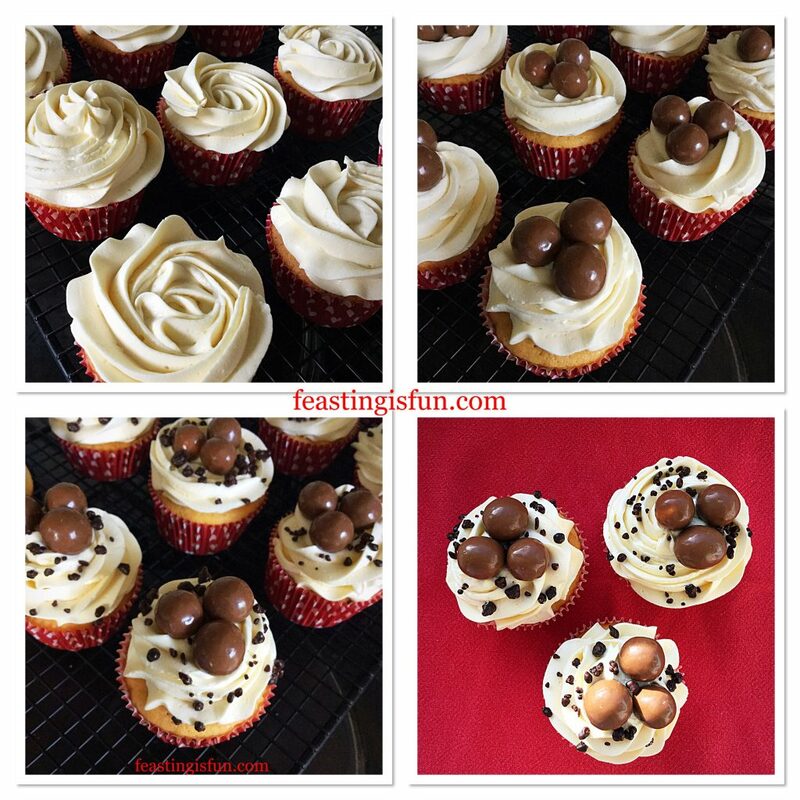 Allow the cupcakes to cool in the pan for 10 minutes and then place them on to a cooling rack to cool completely. Place the butter, salt, vanilla extract and butter into a large bowl. Starting on a low speed whisk all of the ingredients together. 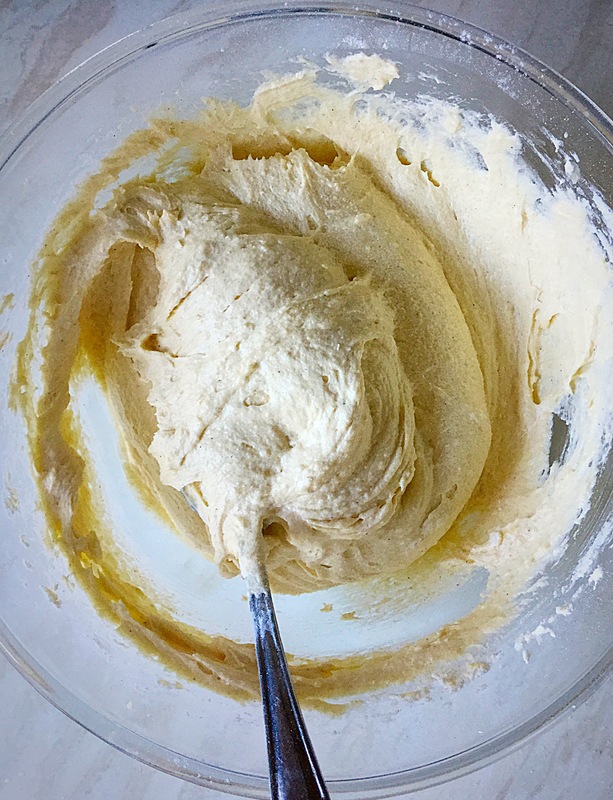 For the very lightest, creamiest buttercream, continue mixing for 10 minutes. 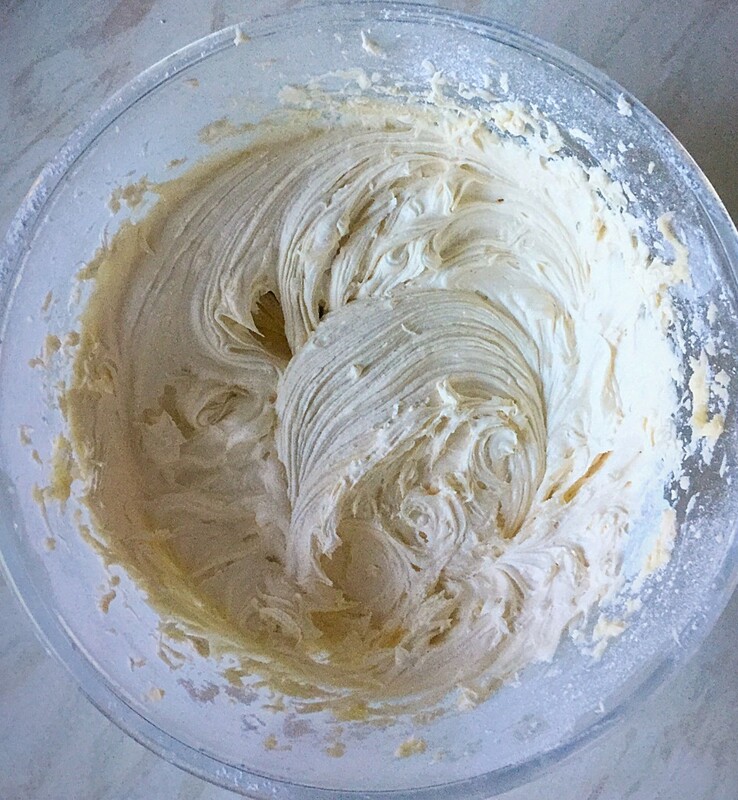 The result will be the dreamiest buttercream icing you will ever have tasted. 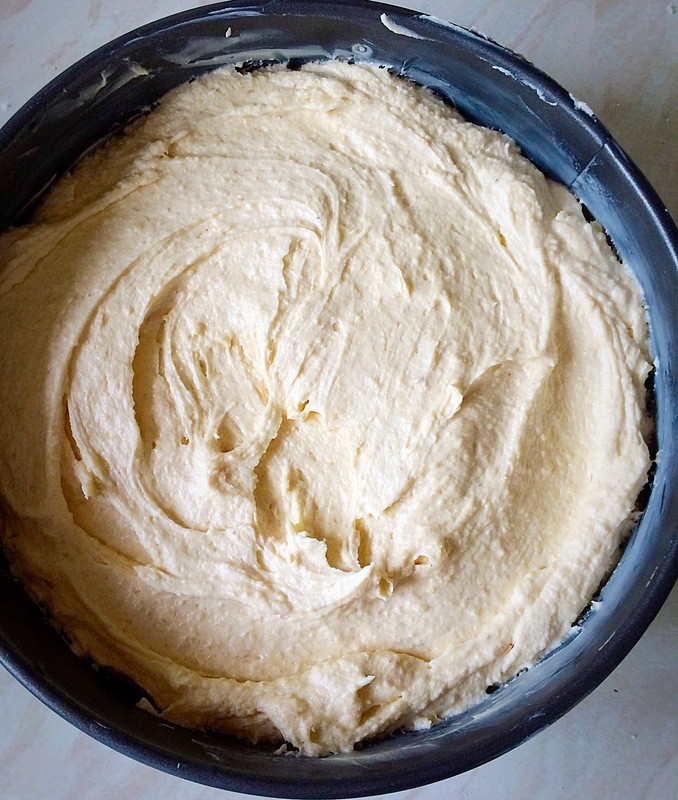 The addition of very hot water to the buttercream mix, stops it from forming a hard crust. 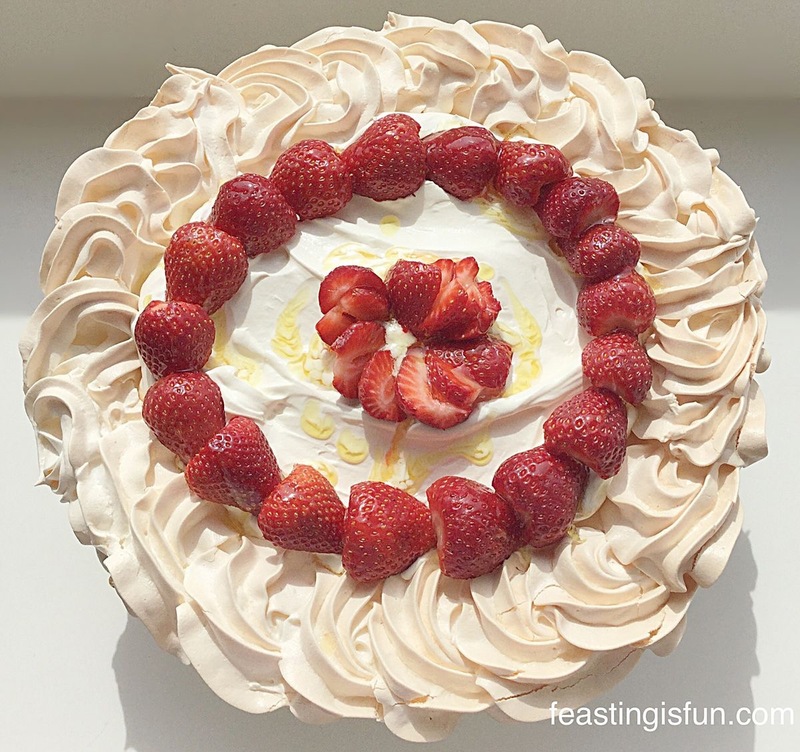 Fit a large piping bag with the tip of your choice – I used a large French star tip. Fill the bag with buttercream and fold over the top of the bag. 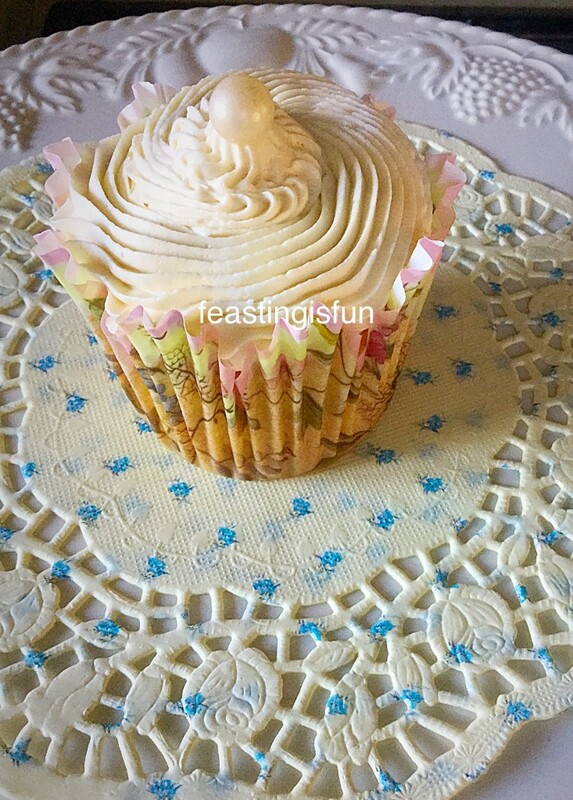 Using a circular motion, pipe buttercream in a swirl effect, onto the top of each cupcake. 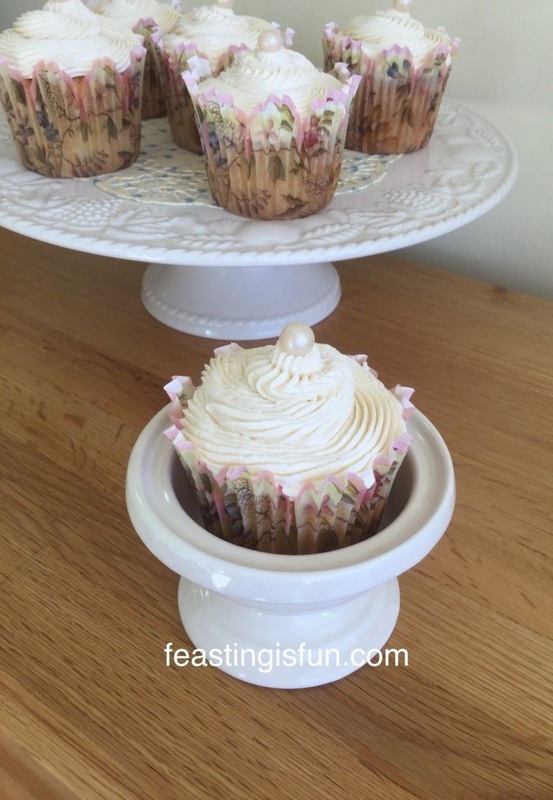 Finally top each cupcake with an edible pearl, or edible decoration of your choice. I hope you’ll agree with me, that these cupcakes are elegantly beautiful ? 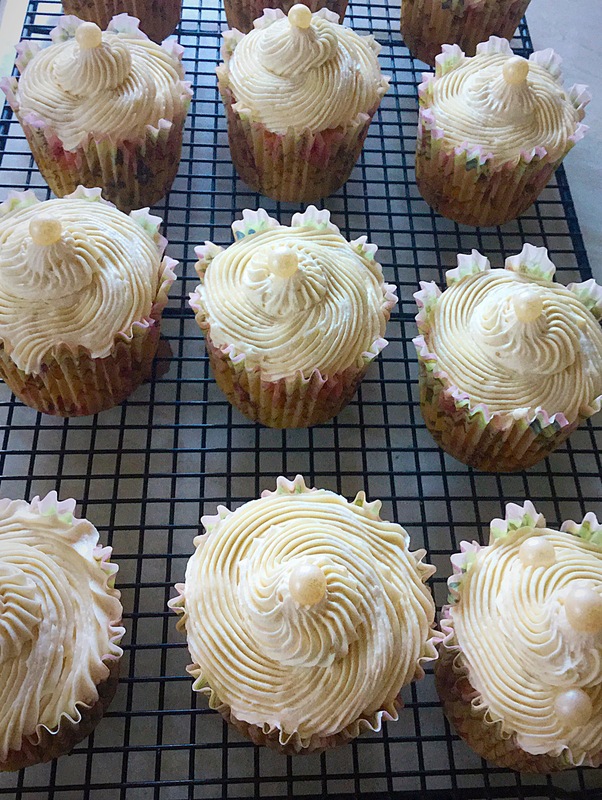 Usually I cannot wait to sprinkle edible glitter on, well pretty much anything I bake, but these Vanilla Bean Cupcakes looked so perfect after the addition of the pearl, that I managed to restrain myself. 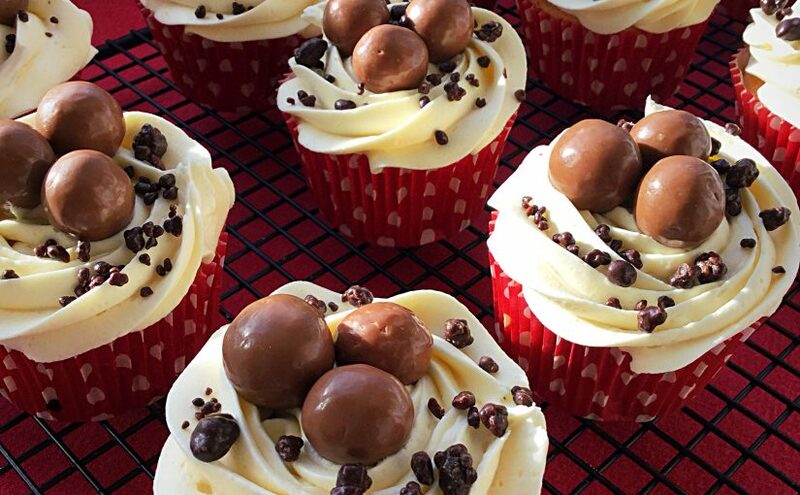 Resulting in a spectacularly elegant cupcake, that tastes every bit as good as it looks. 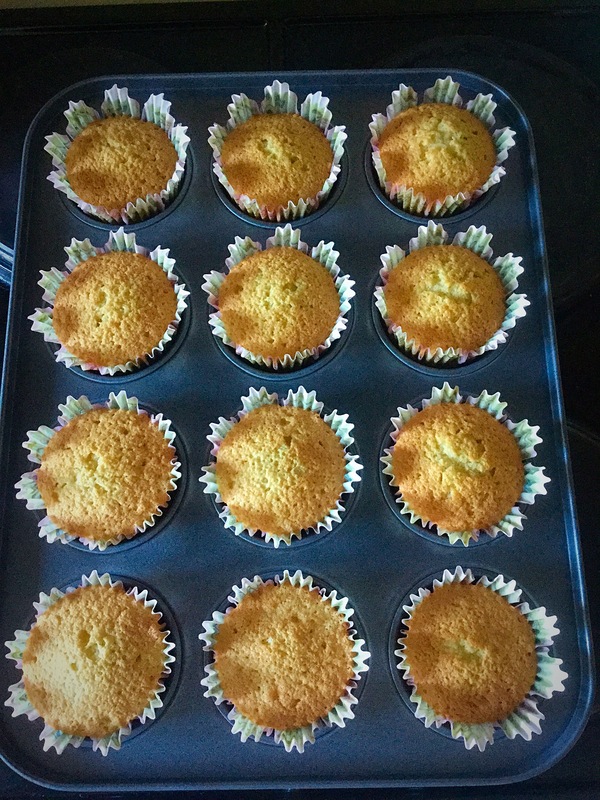 While carrying out a review of a cupcake tin for British Bakeware, I was impressed with how evenly the cupcakes baked. 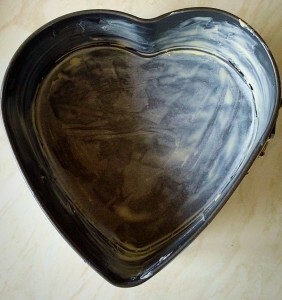 Also the tin washed clean easily in hot soapy water. 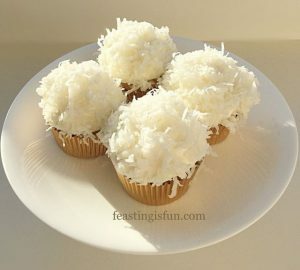 These Vanilla Bean Cupcakes did not last very long in our home, although I did give our neighbours a couple. 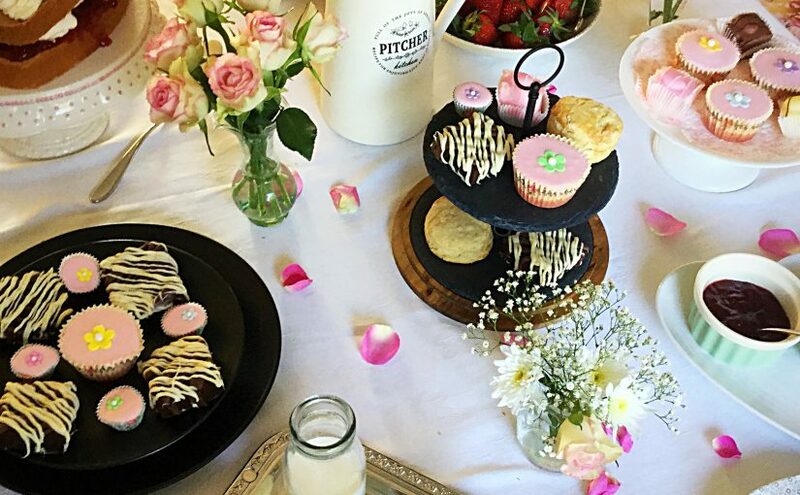 I believe food tastes better when shared. While I only spent 10 minutes with them, we had a lovely catch up chat and they were thrilled with the cupcakes I gave to them. 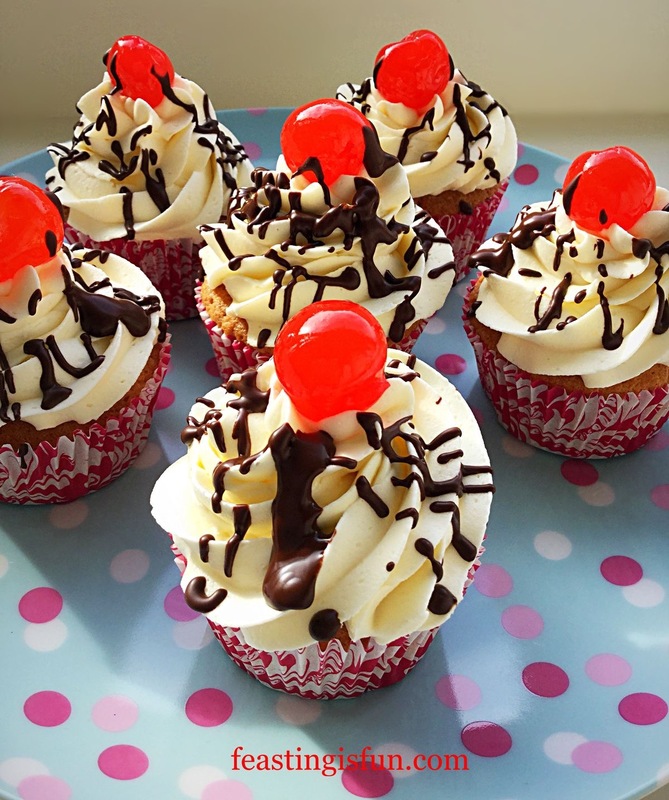 Black Forest Cupcakes chocolate, cherries and dreamy topping. During the winter months especially, weeks, indeed months can easily pass without people living in close proximity, exchanging a word. Furthermore it really is worth taking a few minutes out of each day, once a week, or so, to make the effort to talk to those who live close by. Are you friendly with your neighbours? Do you keep a check on elderly or infirm neighbours, especially during the cold, winter months? 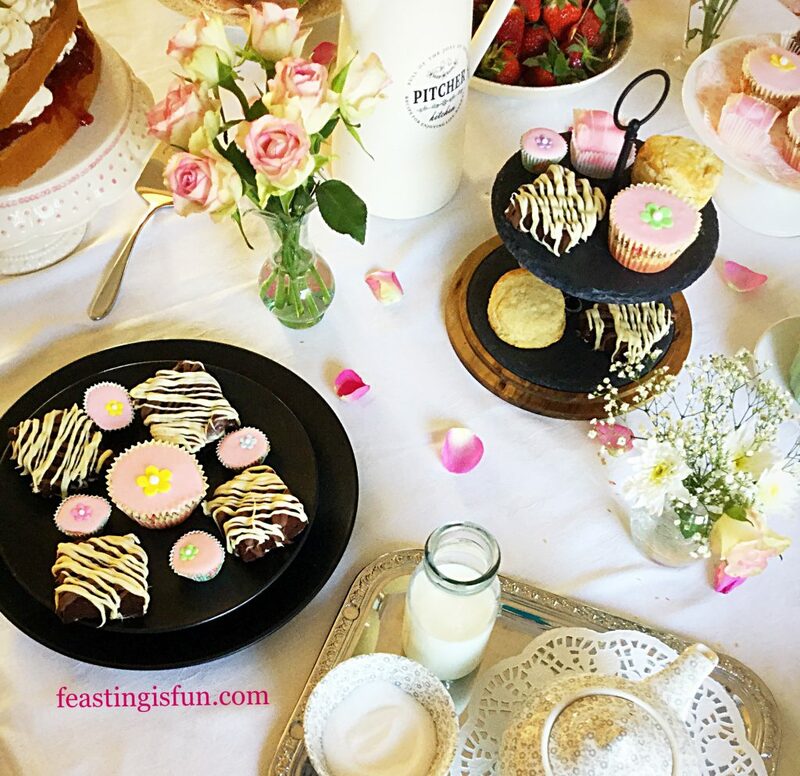 Whatever you are making, baking and creating have fun preparing and sharing your feast. 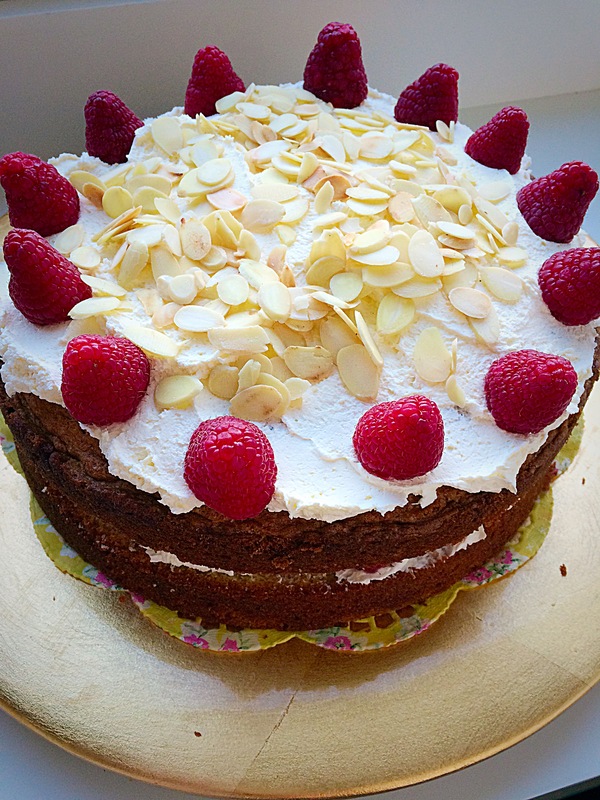 Welcome to a New Year and what better way to celebrate than with my Raspberry Almond Cream Cake. 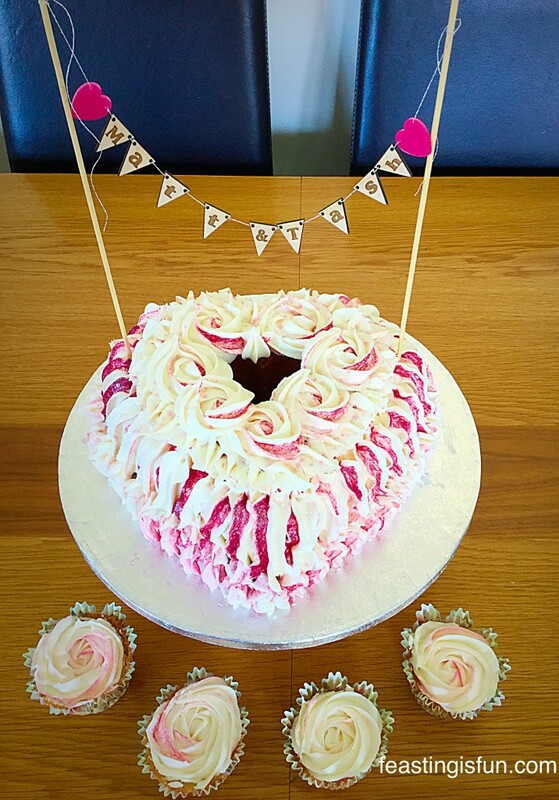 This cake was made on December 31st 2015 and was taken to our very good friends, for their New Years Eve party. It has been so long, too long, since I have been out of the house for anything other than a Doctors or Hospital appointment. We were invited to our friends, ages ago. Having missed out on other family gatherings, I really wanted to see the year out on a positive note. Taking this Raspberry Almond Cream Cake, as a gift, to our friends house, was also a massive achievement. The cake looked festive, without being too Christmassy. 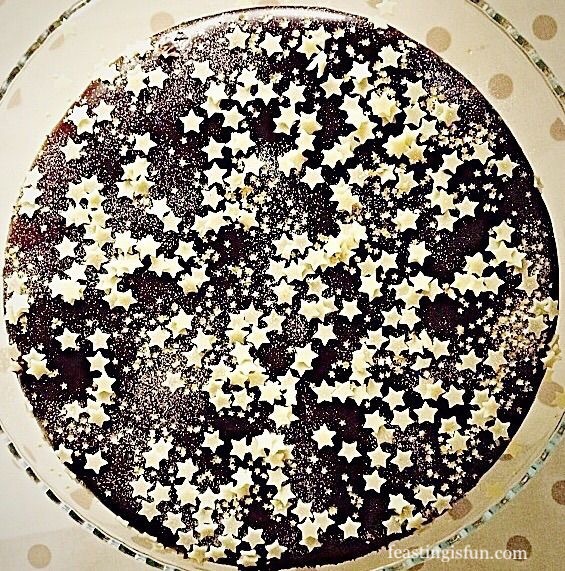 I resisted the urge to sprinkle some edible glitter on the top. Setting the cake on a gold plate seemed beautiful enough. The almond flavour in the moist sponge, pairs really well with gorgeous, plump, deep crimson raspberries. I tend to find frozen raspberries hold their flavour and shape and are excellent to keep on hand, in the deep freeze, for the winter months. 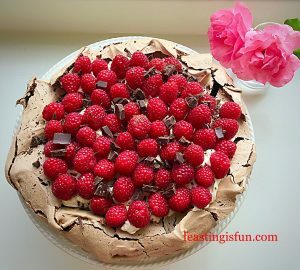 On this occasion, fresh raspberries were available, but I would totally make this again with frozen fruit! 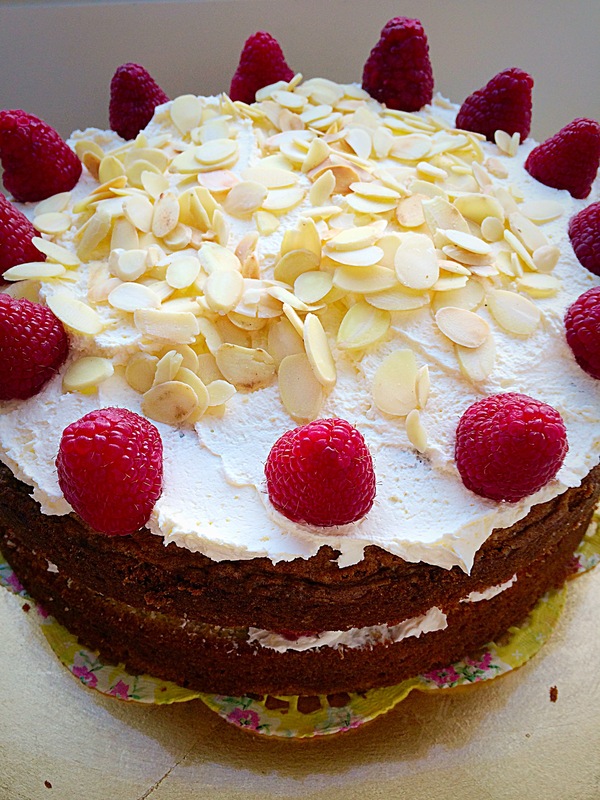 An extra layer of raspberry jam, brought additional flavour and made all the ingredients in this Raspberry Almond Cream Cake ‘sing’. Usually when baking a layered cake I bake separate sponges, this time however, I baked one gorgeous, almond sponge and cut it in half. 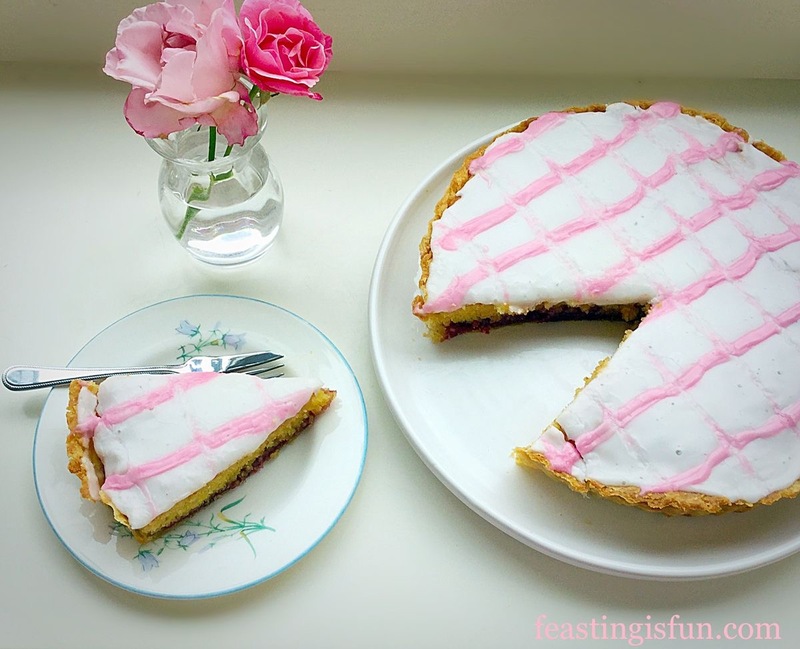 The result was an extra moist cake that kept people going back for another slice!! If making this cake for only adults, I woud certainly have brushed the inside of the cut sponge with some Framboise (raspberry liquer), or alternatively added a splash of delicious almond liquer to the cream! 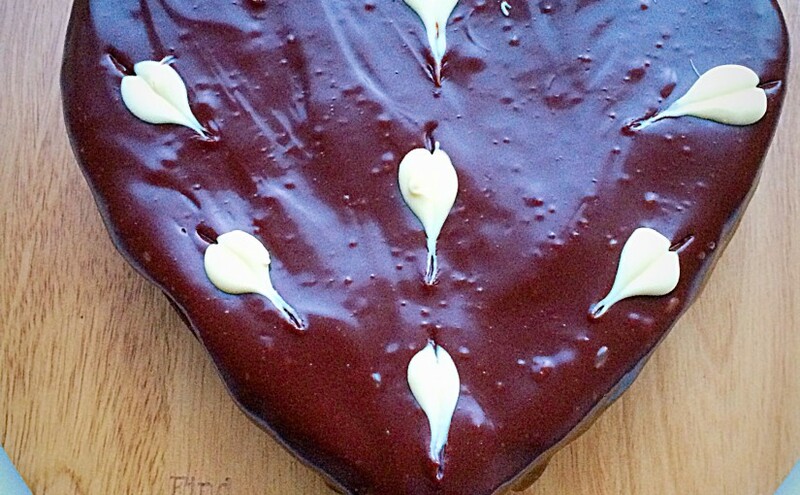 Here’s how to make this luscious cake! Grease and line the base of a 10″ springform cake pan. 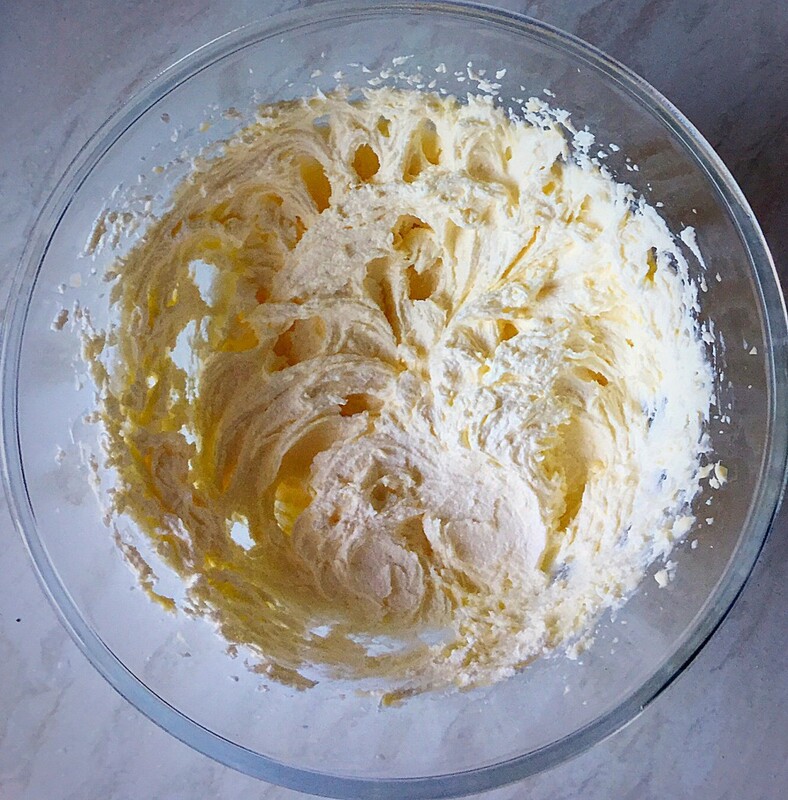 In a large bowl whisk the butter, sugar and salt together until pale and fluffy. 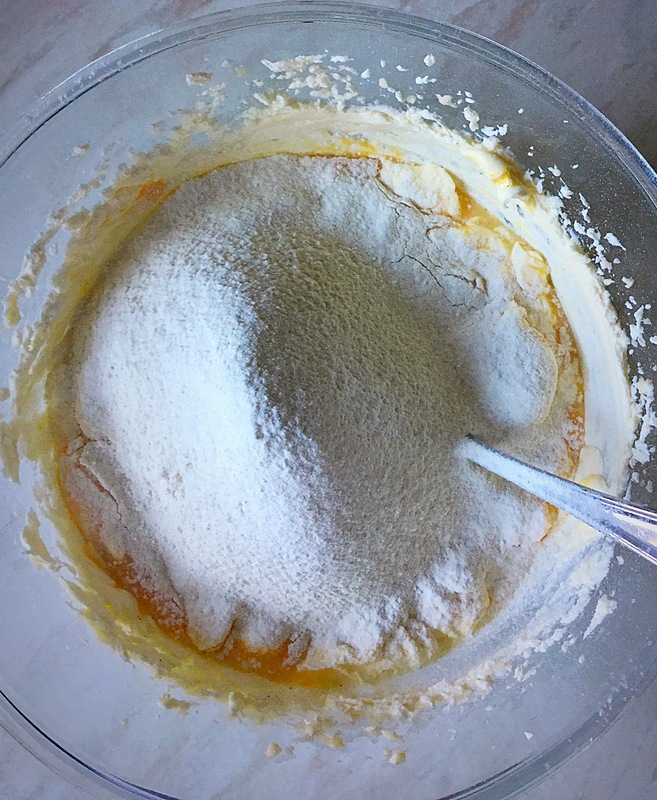 Add one third of the dry mix (flour, ground almonds and baking powder), 2 eggs, half the milk and the vanilla and almond extracts. Finally add the last third of the dry ingredients and mix until combined. 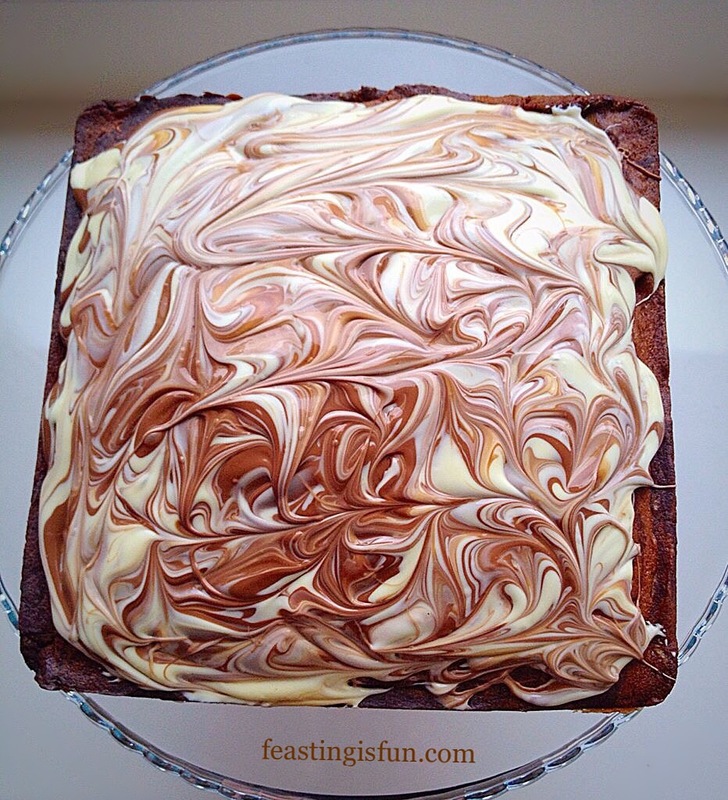 Place the cake batter into the springform pan. Bake in the oven for approximately an hour. 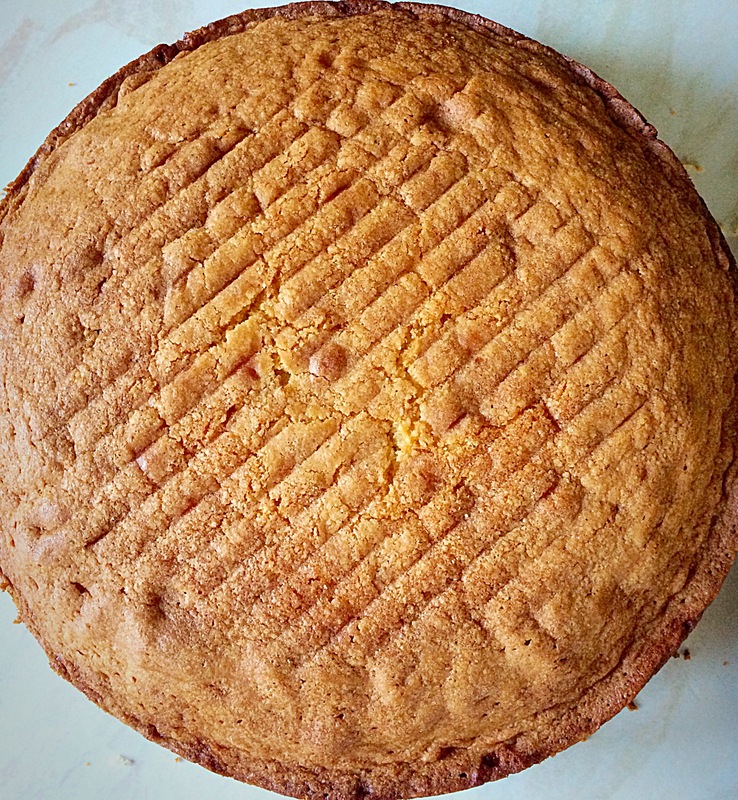 The cake is baked when it is golden brown and springs back when pressed lightly in the centre. 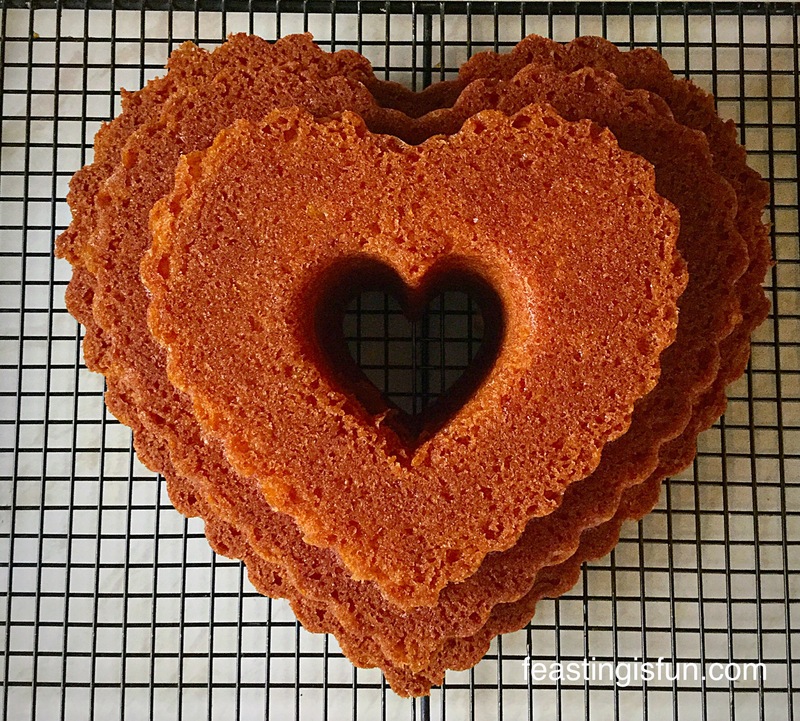 Once baked remove the cake from the oven and place the pan on a rack to cool for 15 minutes. After 15 minutes turn out the cake from the pan and leave to cool completely on a cooling rack. 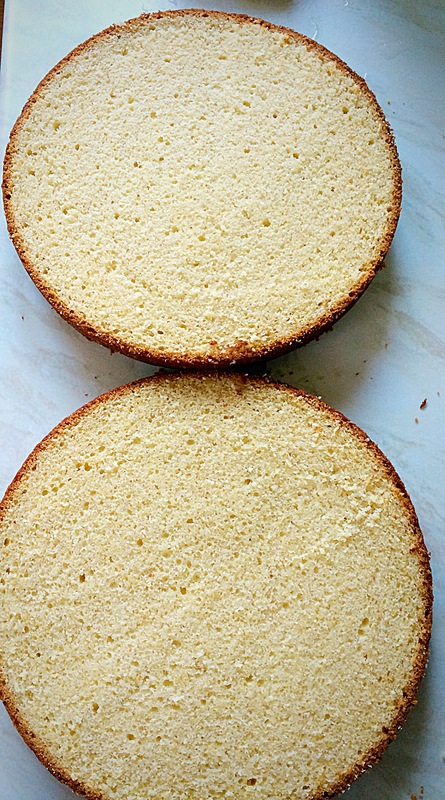 Once the cake is cooled, carefully slice the sponge in half. Use a serrated bread knife to slice the sponge in half. 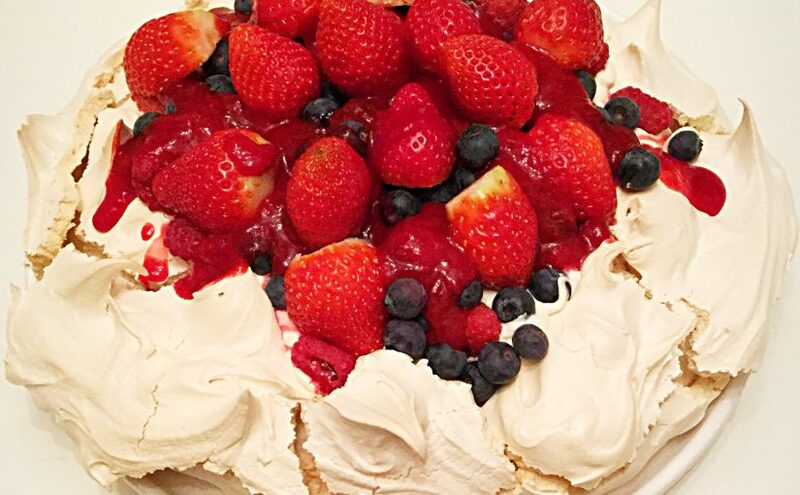 Whip the double cream until it just holds a peak. Spread the raspberry jam over one half of the sponge. 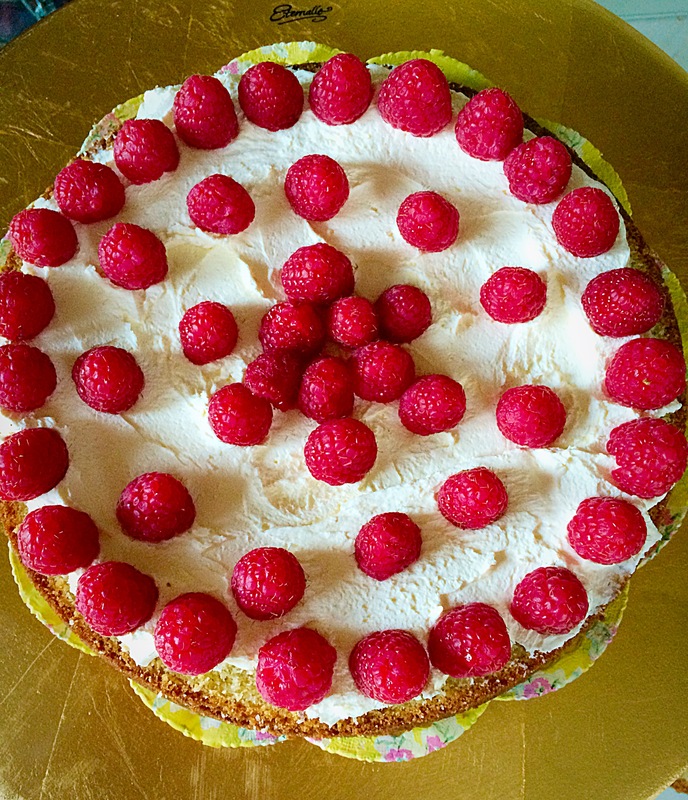 Sort through the raspberries and reserve 12 of the largest, plumpest fruits for the top of the cake. 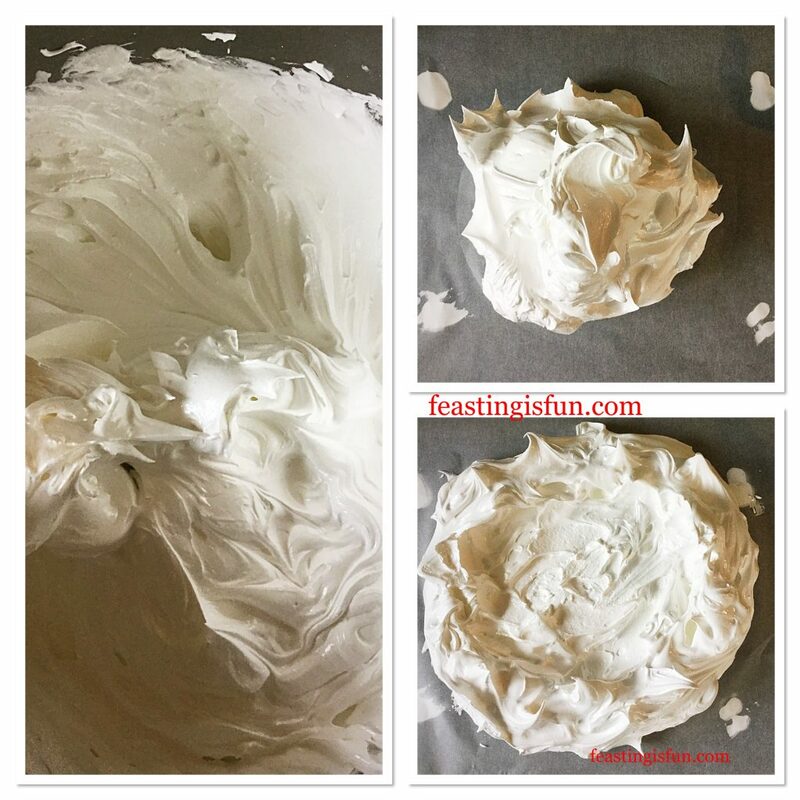 Spread half of the whipped cream on the other half of the sponge. 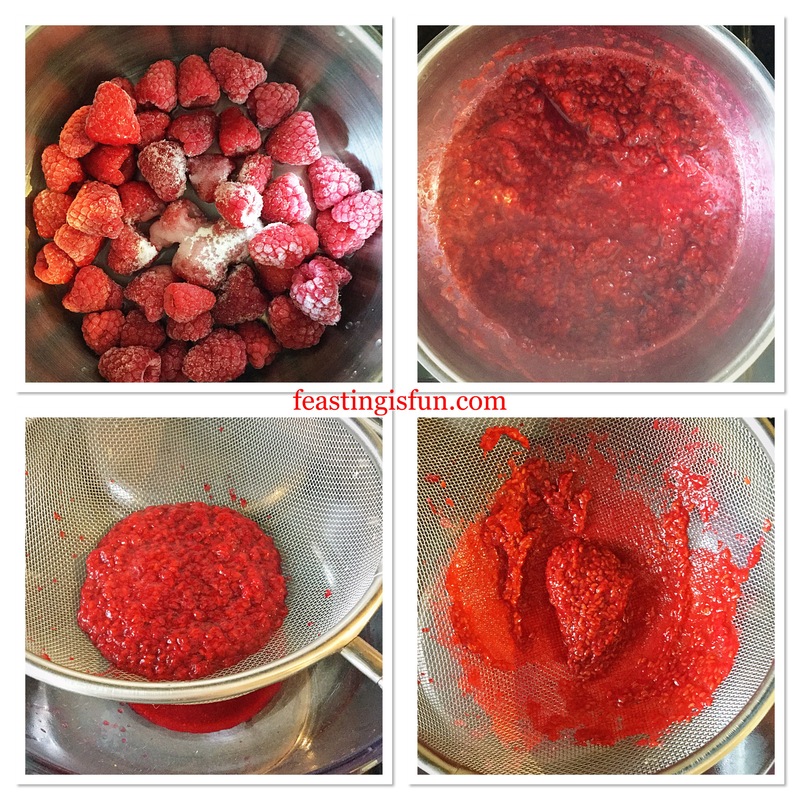 Add half of the raspberries. 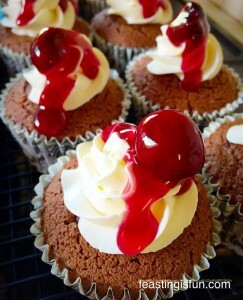 Place the sponge, spread with jam, on top of the cream and raspberry filled sponge. 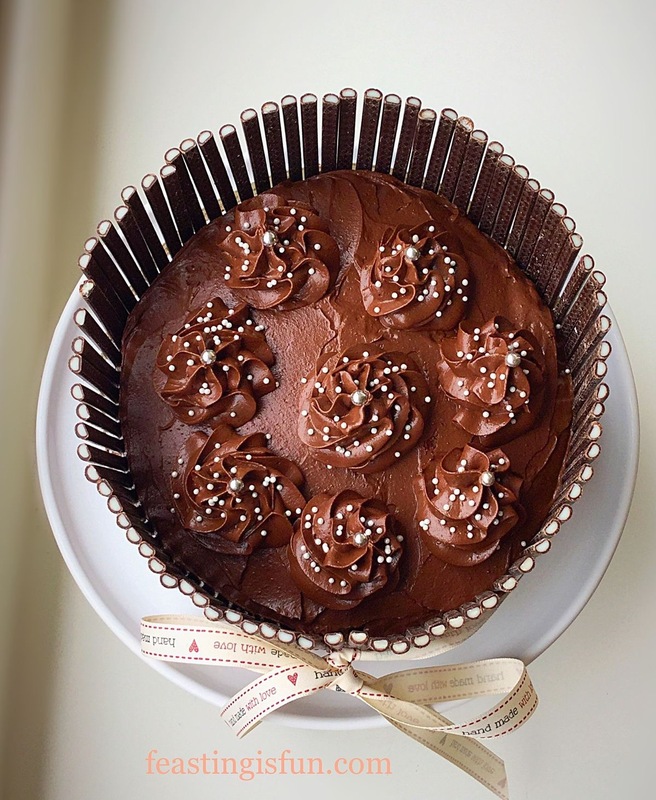 Keep the cake chilled, removing from the fridge 20 minutes before eating. Invite round some friends, or alternatively take this cake to your friends house. 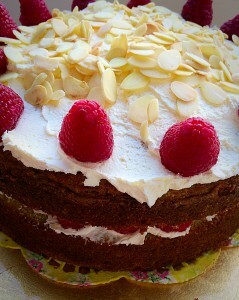 You are certain to be a very popular guest if you turn up with this Raspberry Almond Cream Cake!! 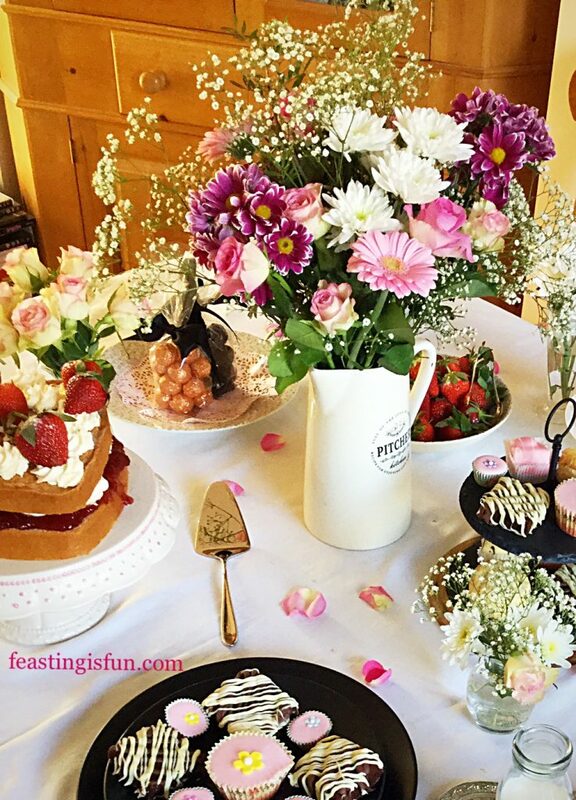 All food tastes better when it is shared, none so more than cake, in my humble opinion 😉. Wishing you all a happy, healthy 2016. 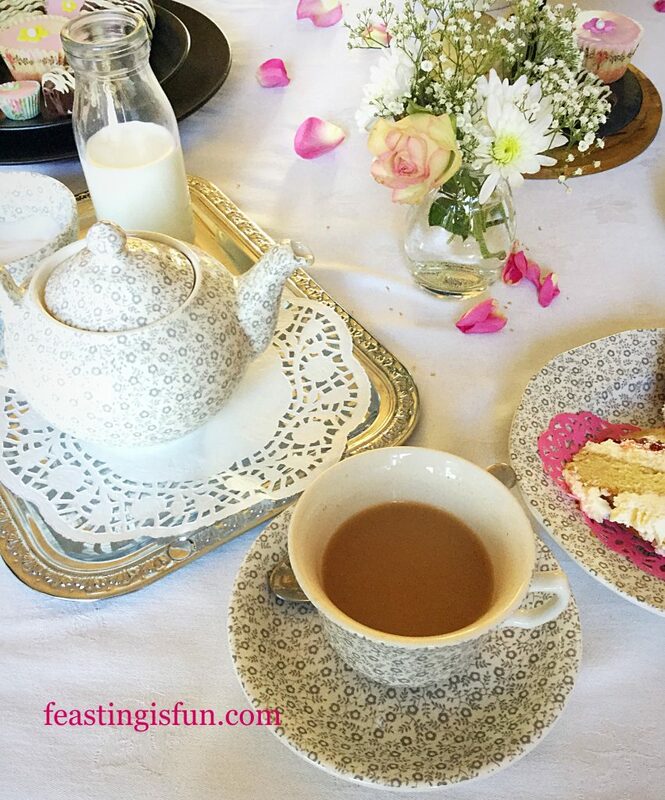 May your friendships grow closer over a cup of tea and slice of cake.